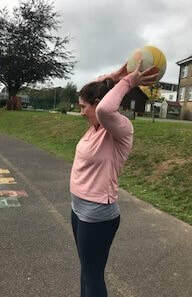 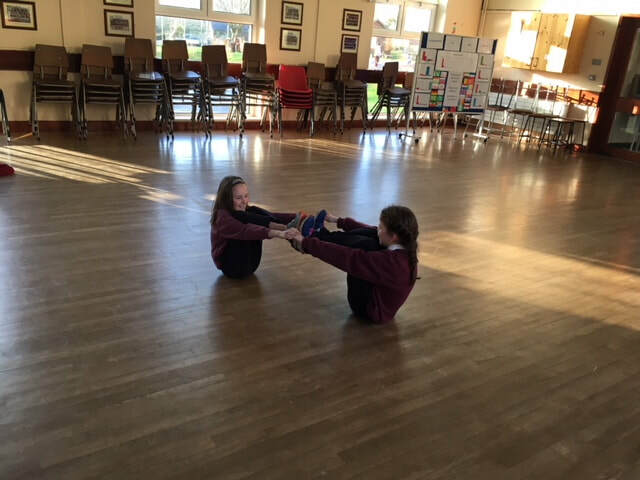 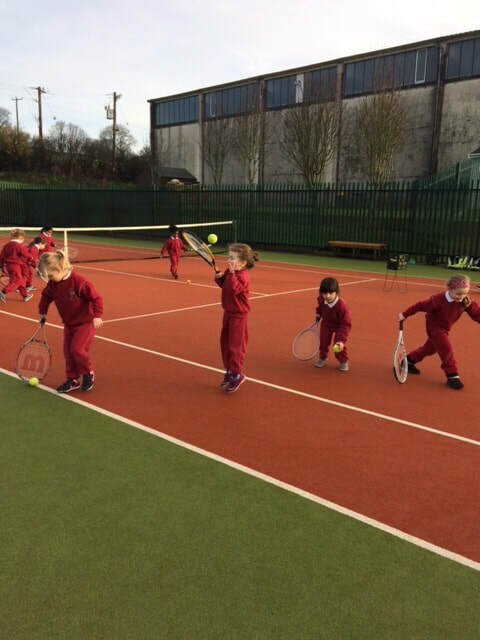 In St Joseph's we aim to teach PE in broad and balanced way. 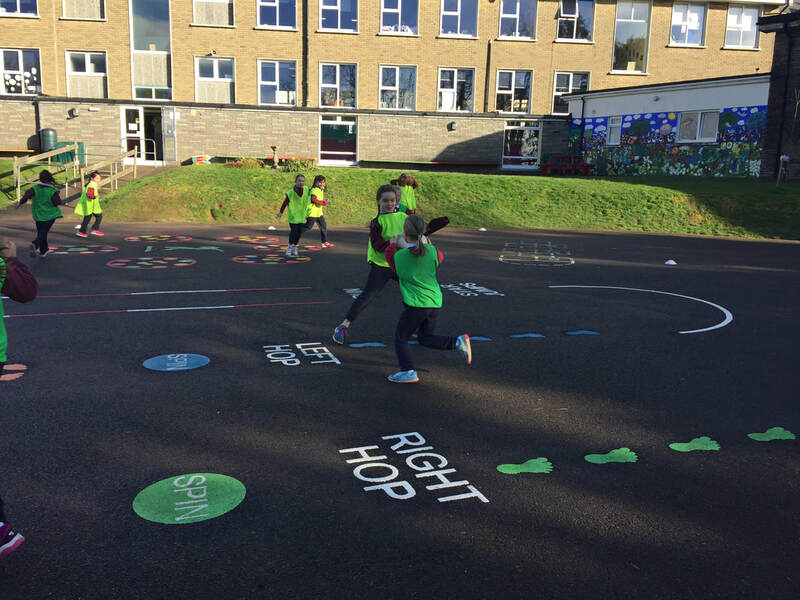 We have a whole school strand timetable in place which means each strand is covered throughout the year. 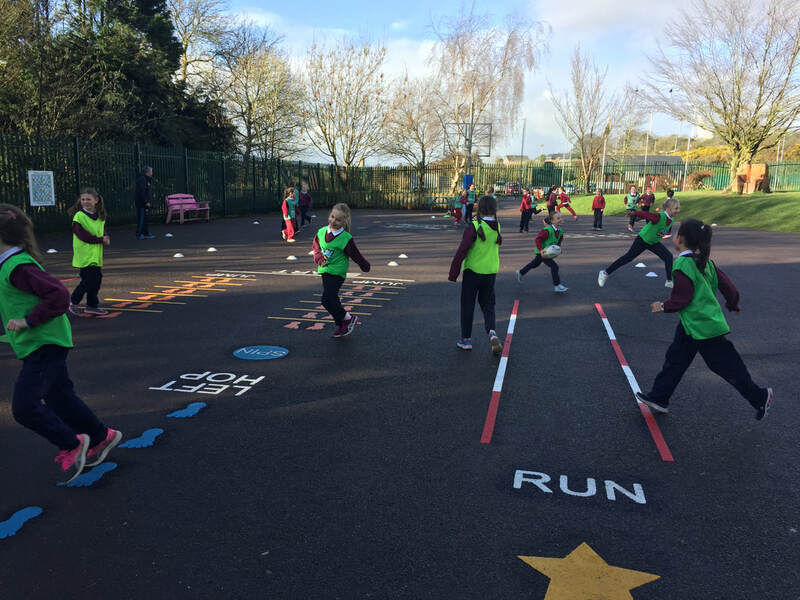 A standardised PE timetable is in place whereby teachers aim to teach the same strand at the same time. 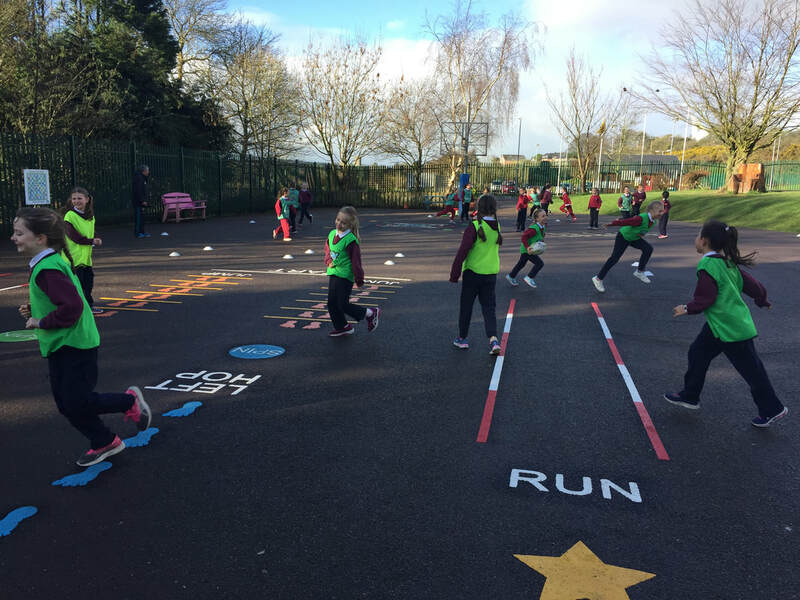 The six strands in the PE curriculum are Games, Aquatics, Gymnastics, Dance, Athletics and Outdoor and Adventure. 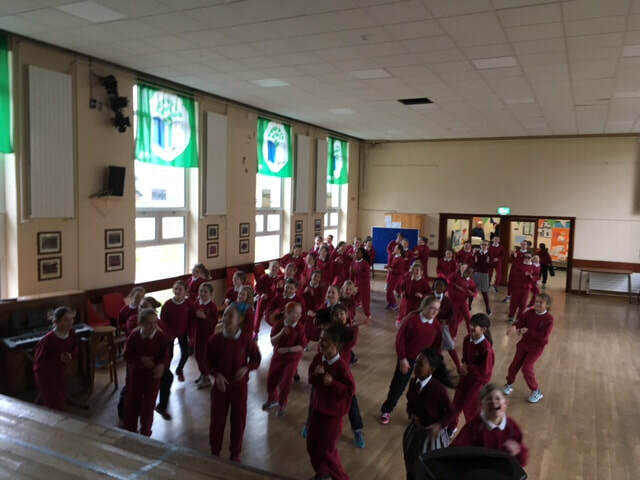 PE is regularly discussed at staff meetings in St Joseph's. 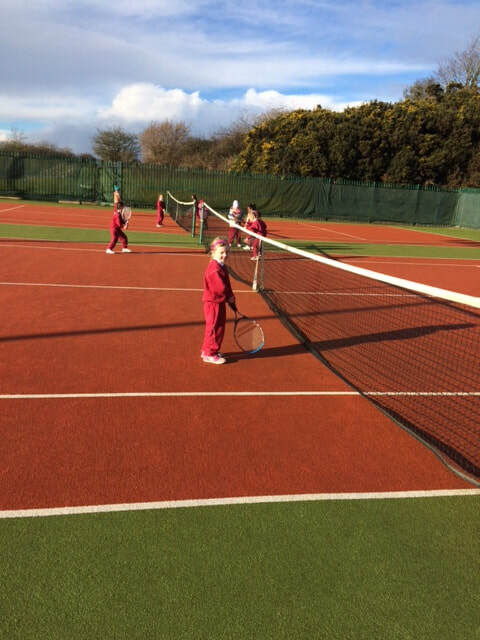 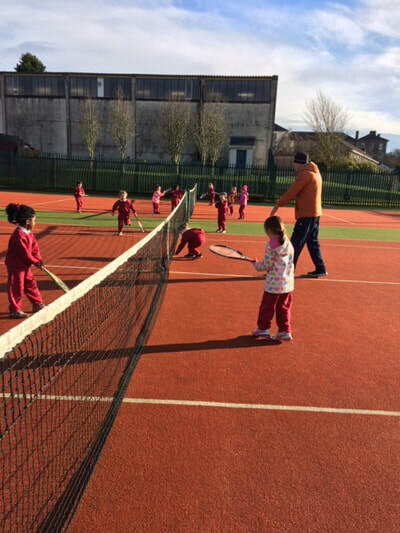 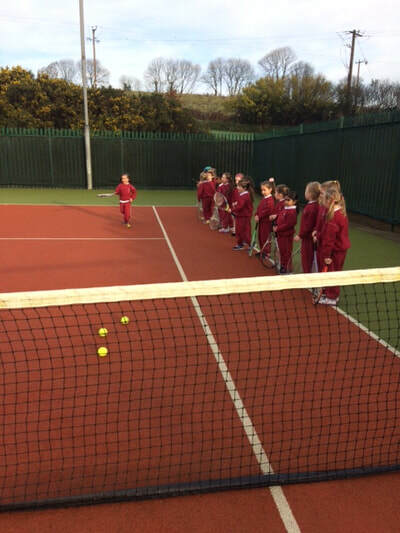 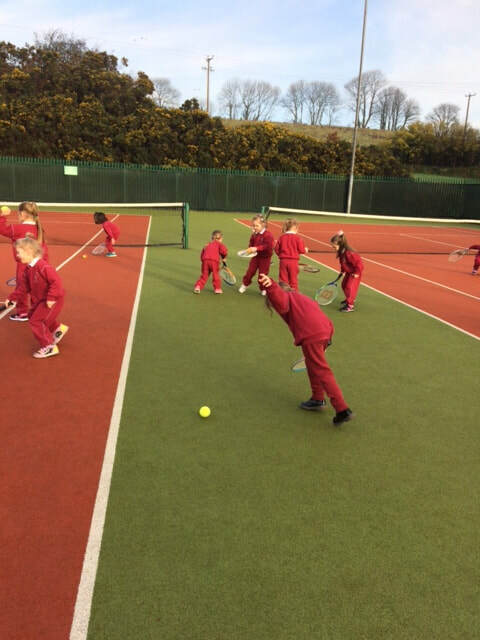 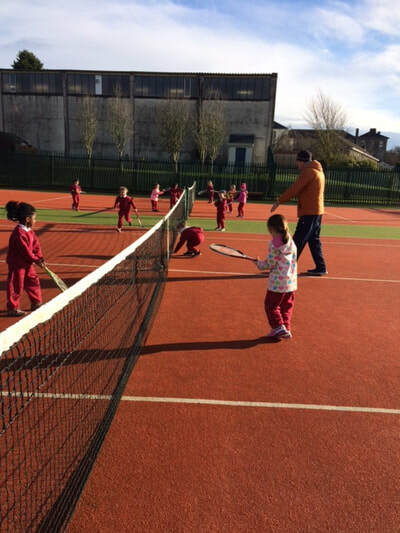 Each class from Juniors to Sixth are given the opportunity to partake in tennis lessons every year. 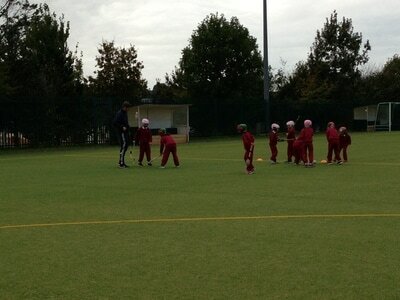 Alan O' Mahony expertly coaches the girls. 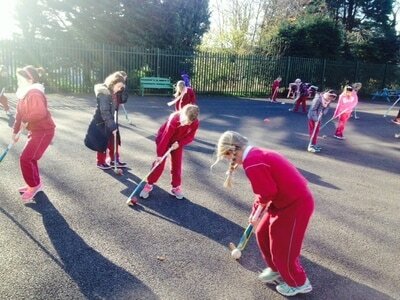 A huge thank you to our Parent's Association who fundraise for this worthwhile activity. 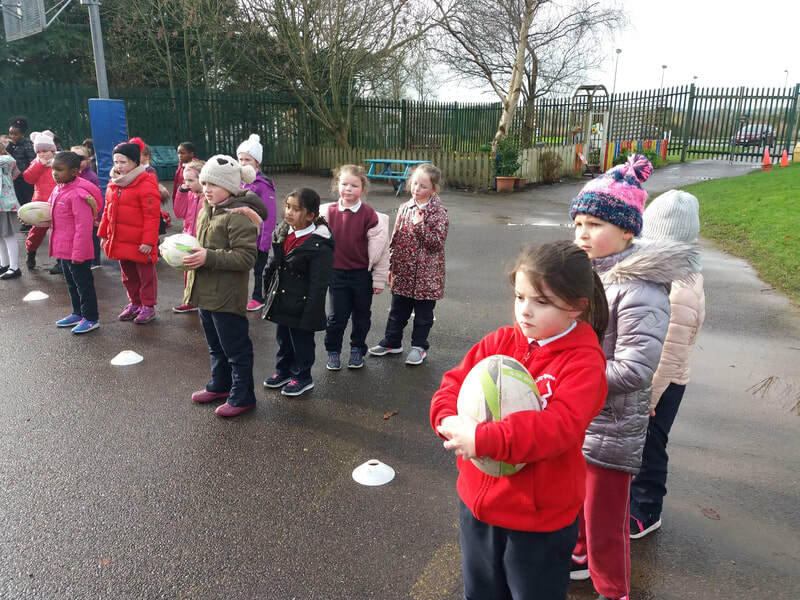 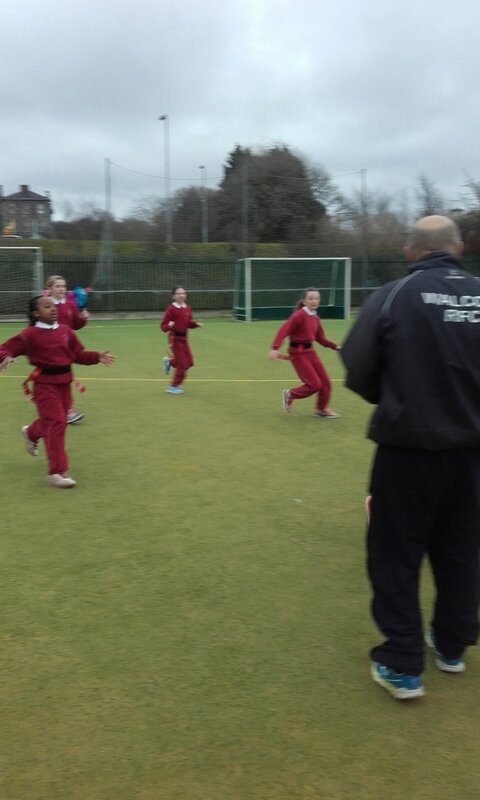 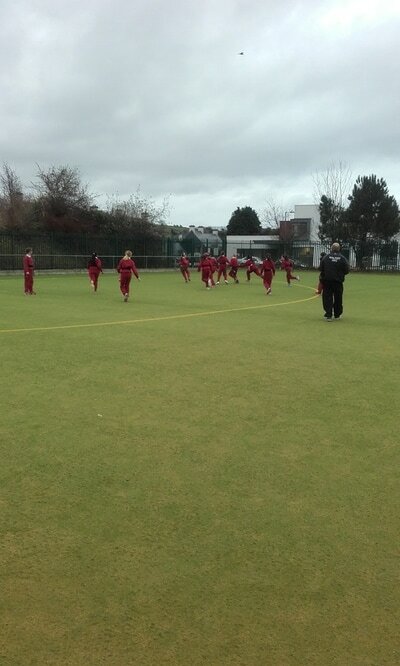 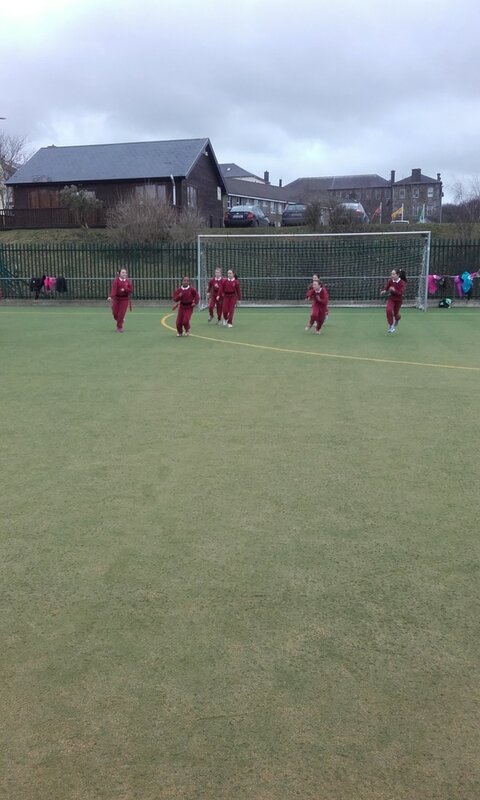 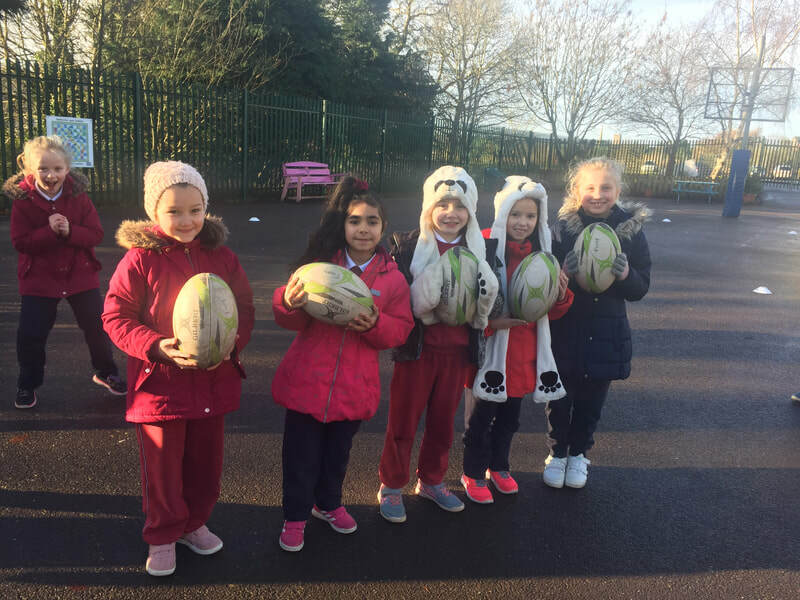 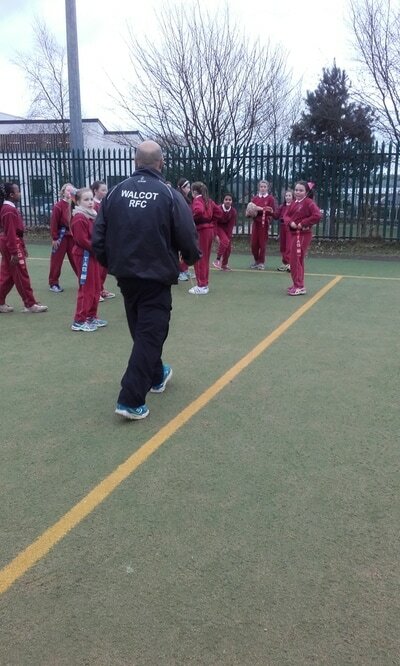 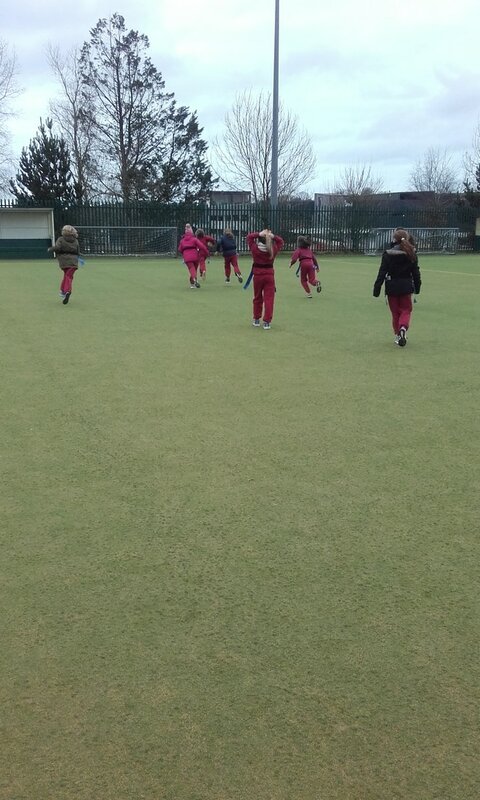 The girls from 1st - 6th really enjoy tag rugby. 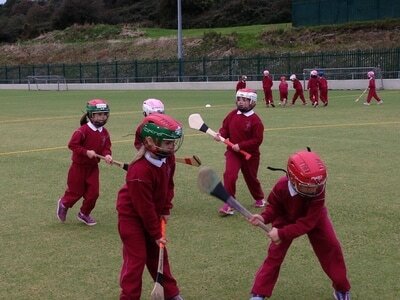 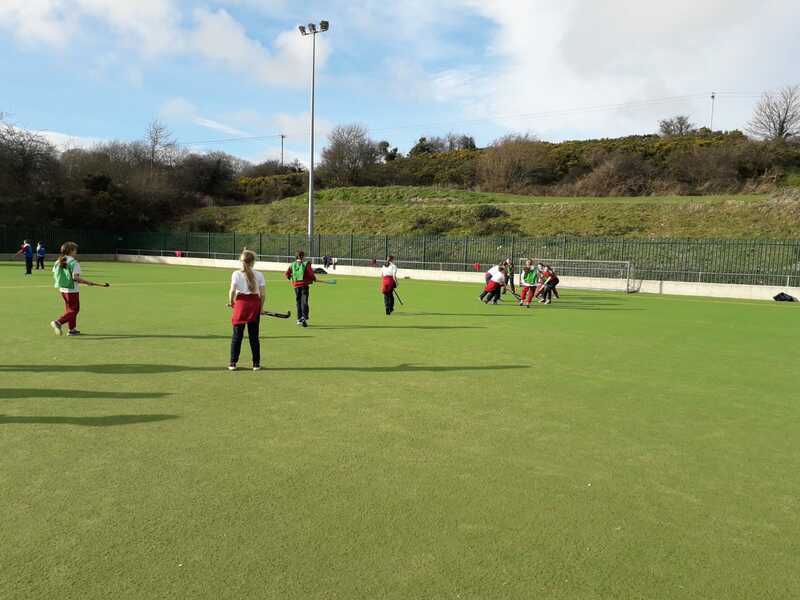 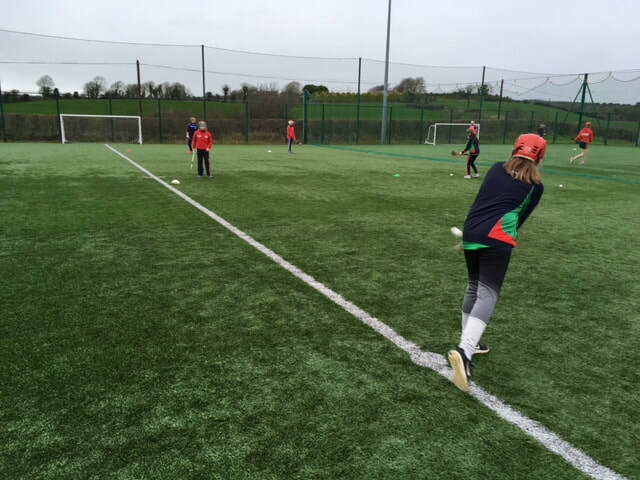 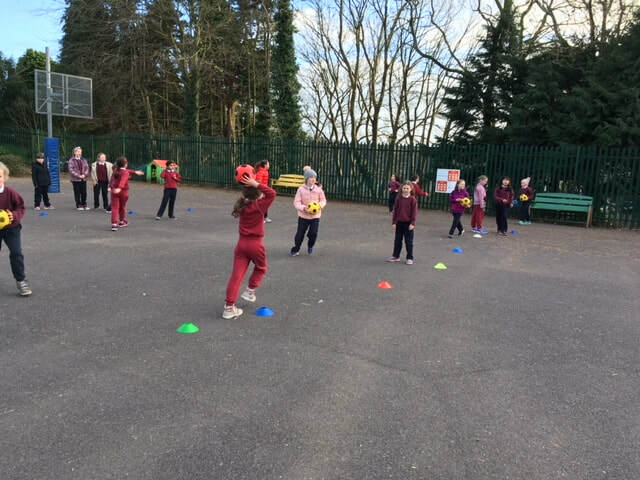 Pupils from first to sixth class receive camogie coaching in conjunction with Clonakilty GAA Club. 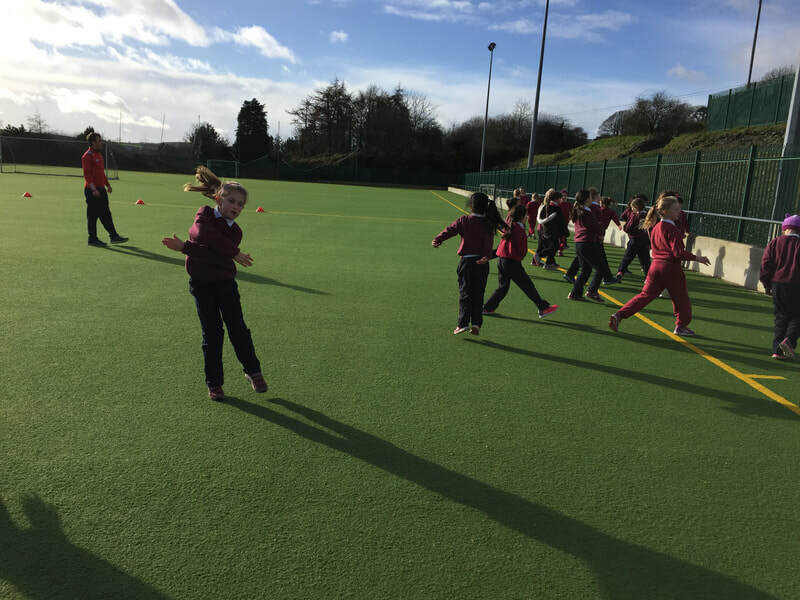 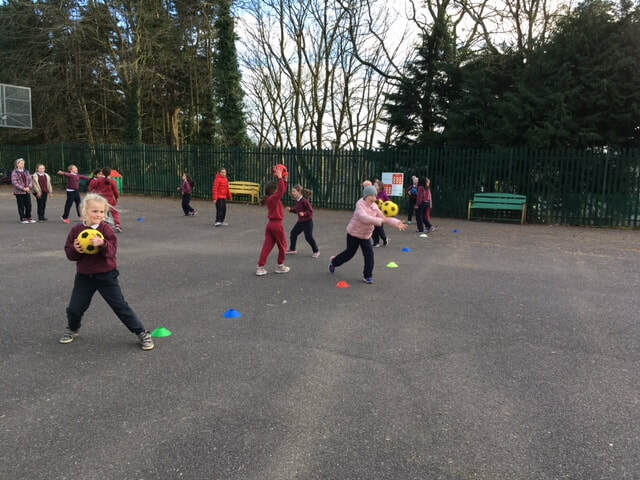 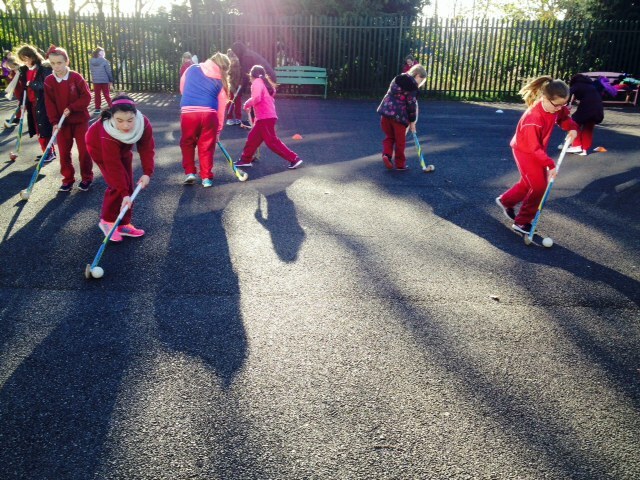 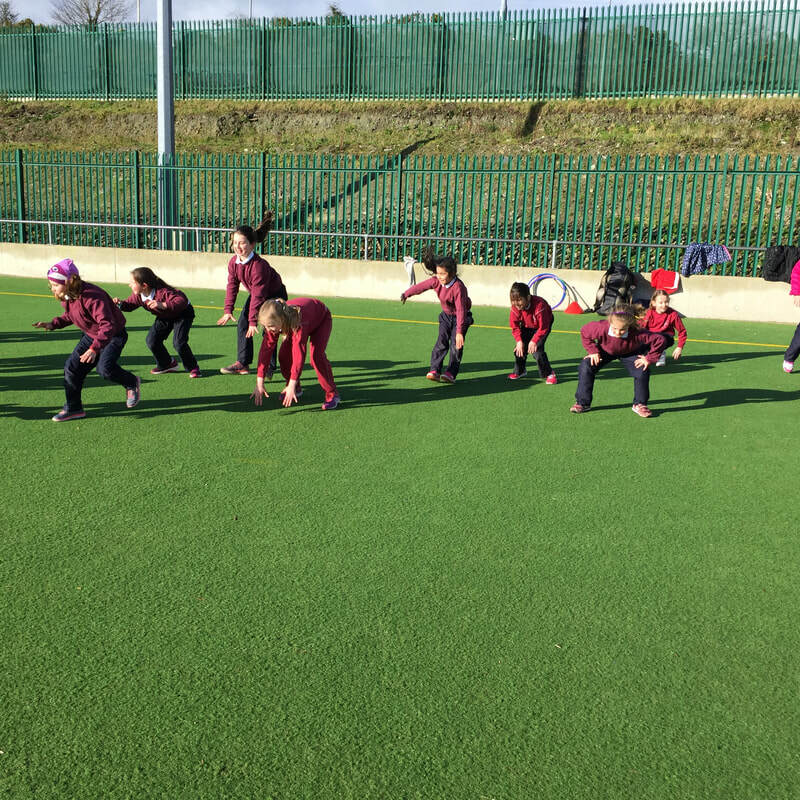 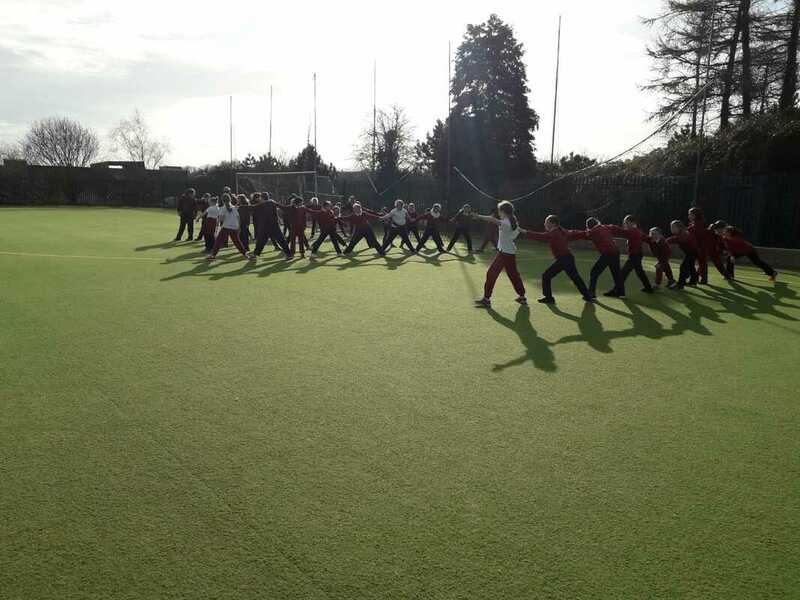 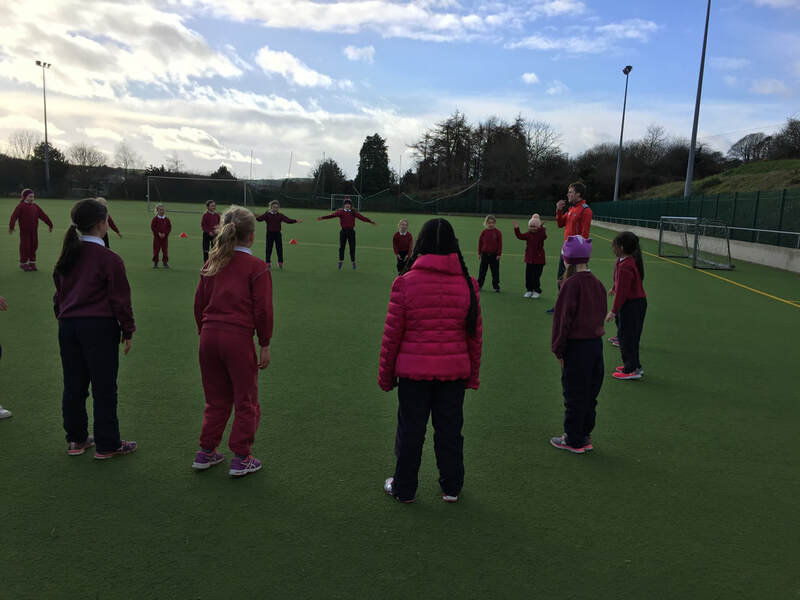 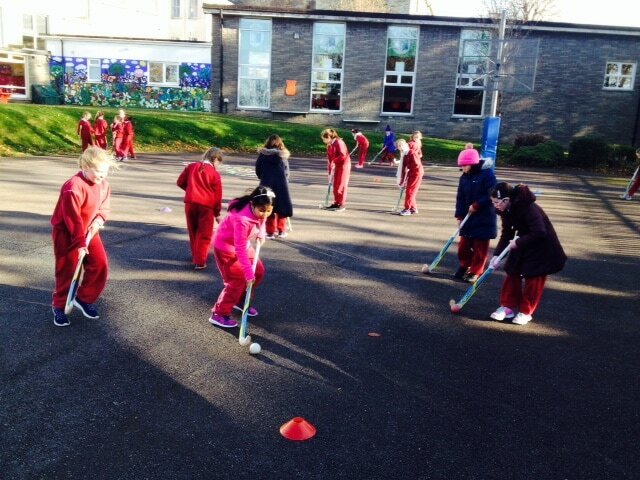 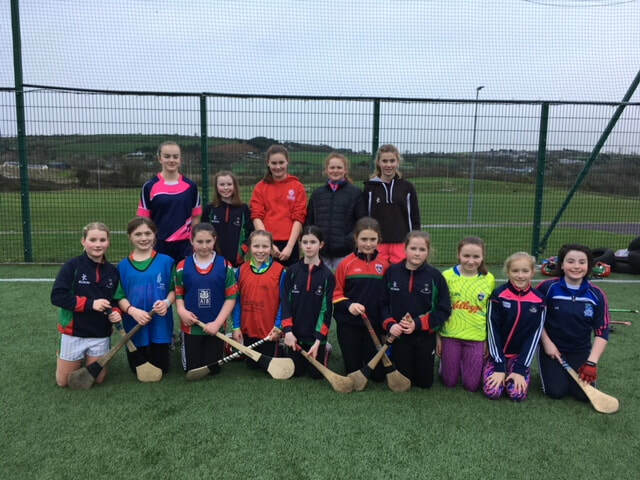 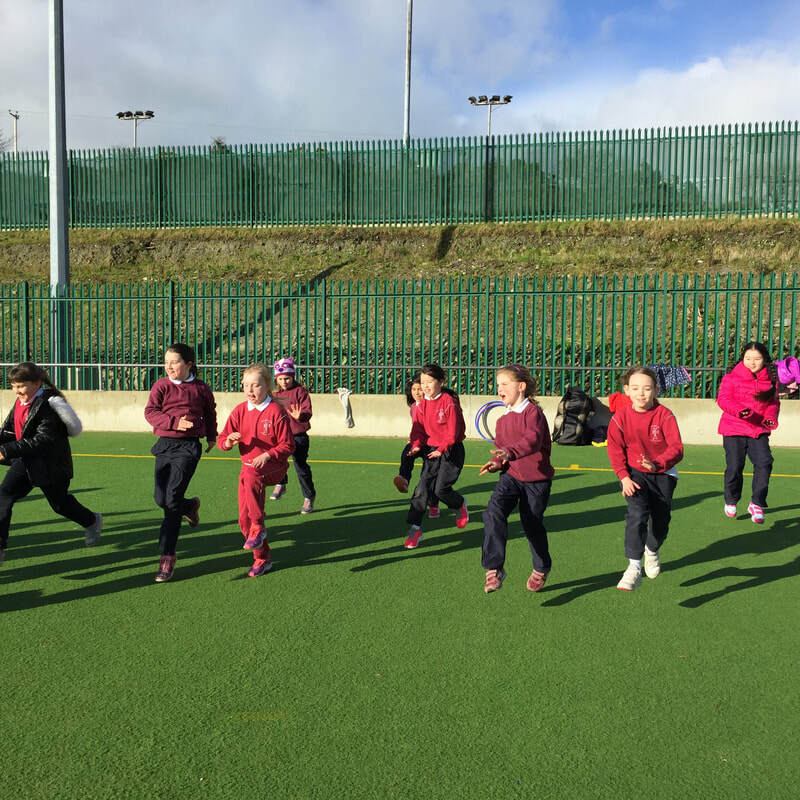 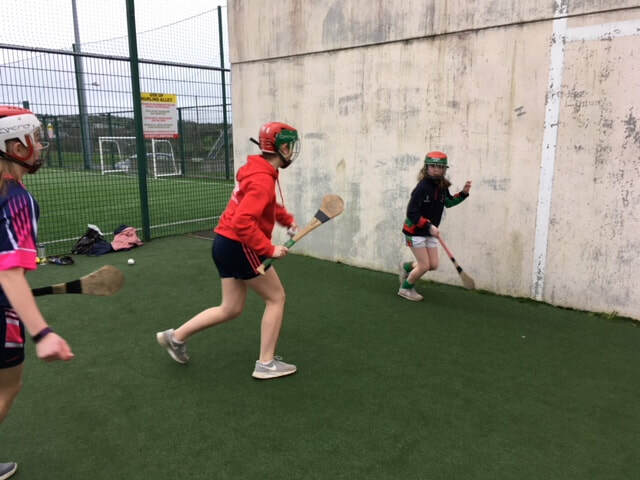 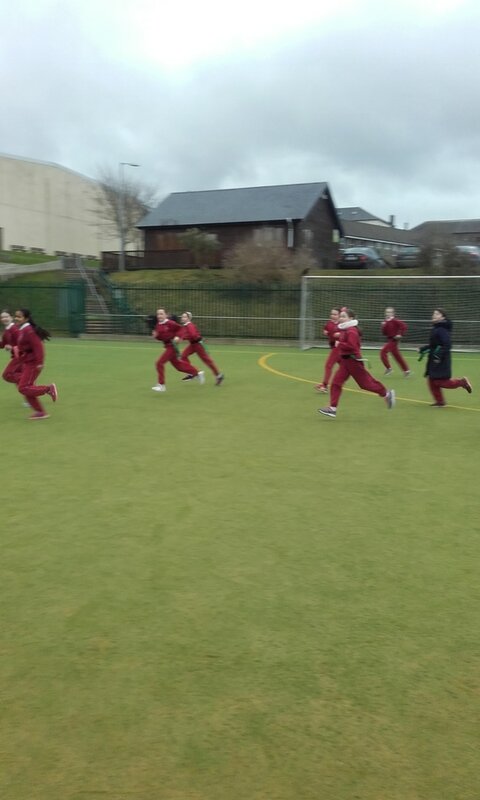 5th and 6th Class girls have been partaking in camogie training with Ms Murphy and Ms O'Mahony in January and February. 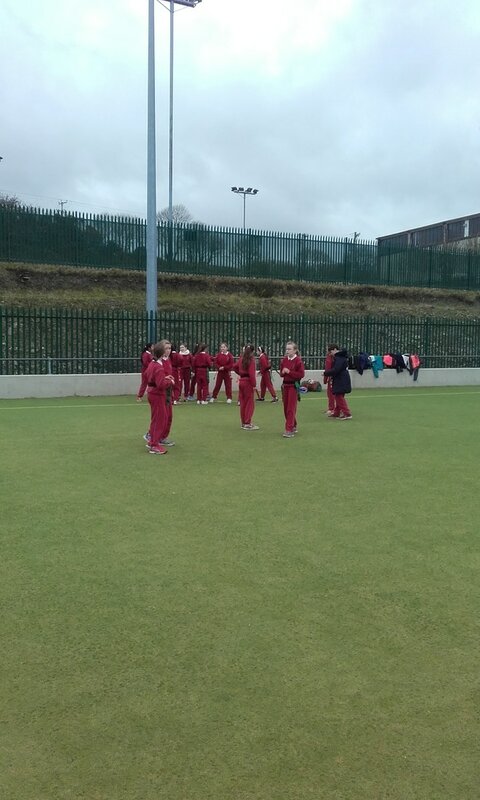 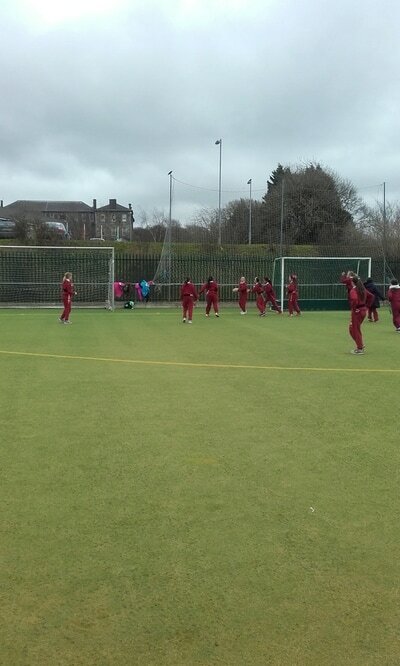 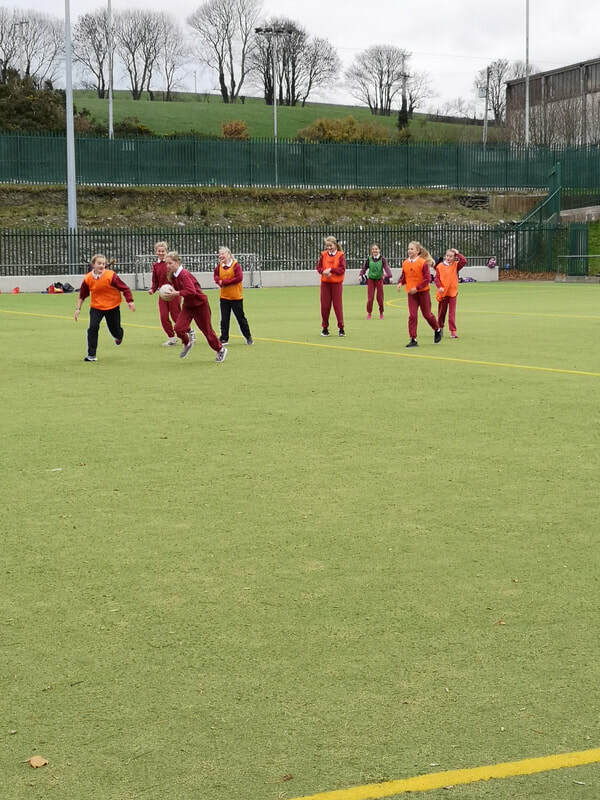 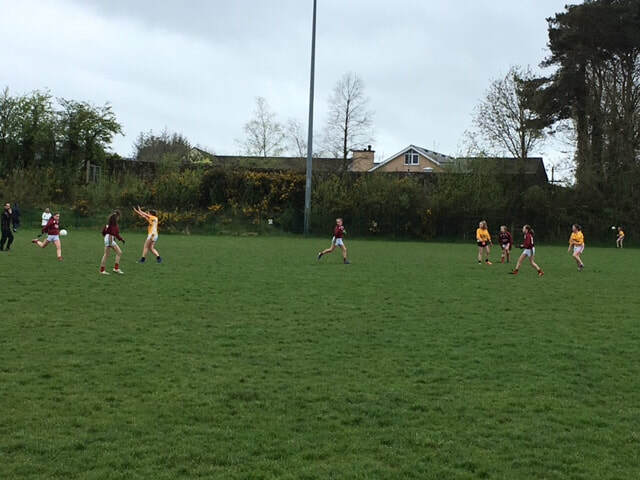 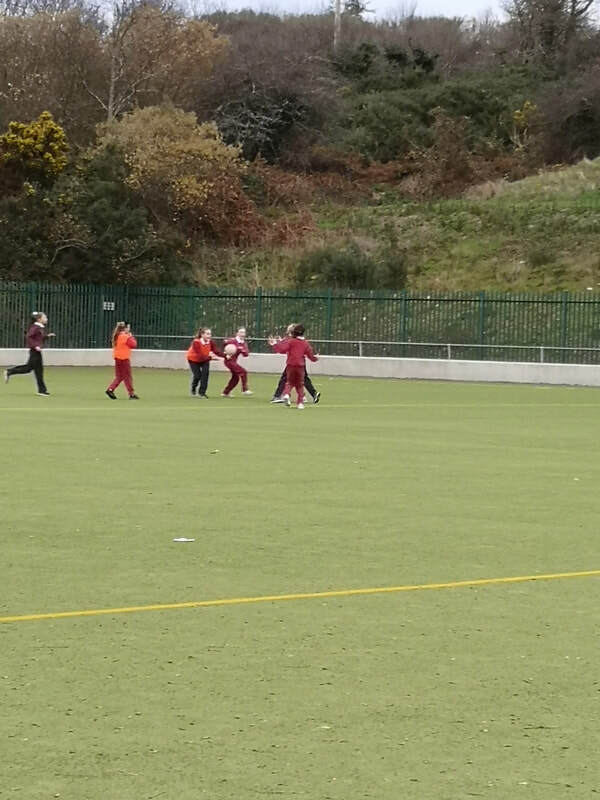 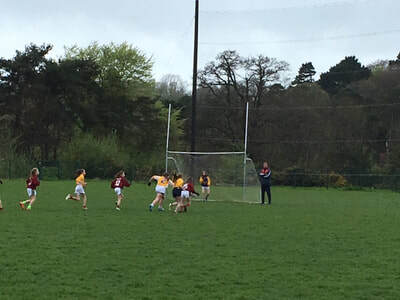 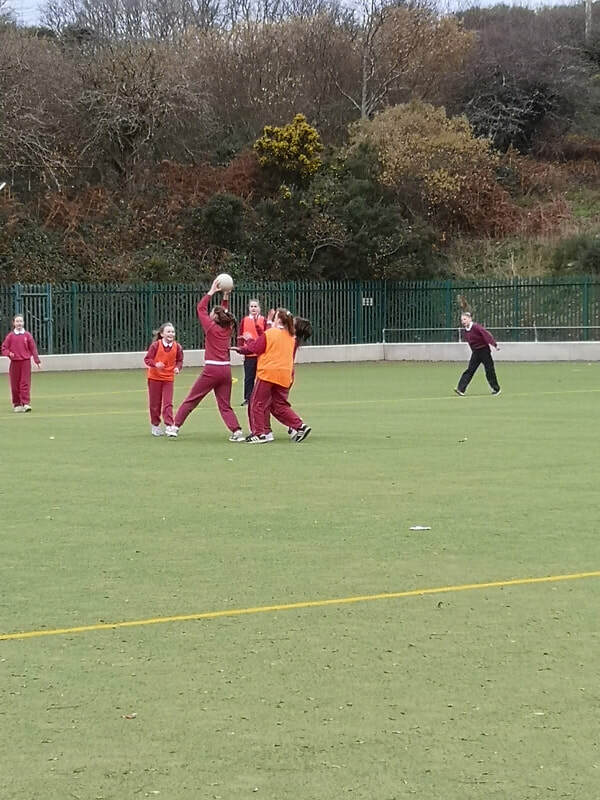 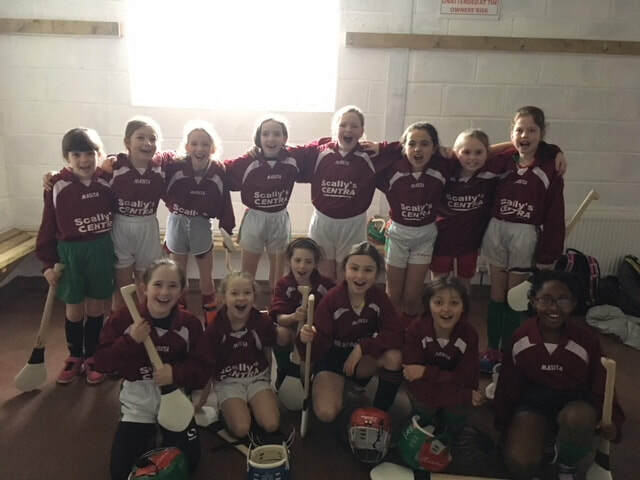 The girls played Kilbrittain NS, Barryroe NS, Kealkill NS and Laragh NS. 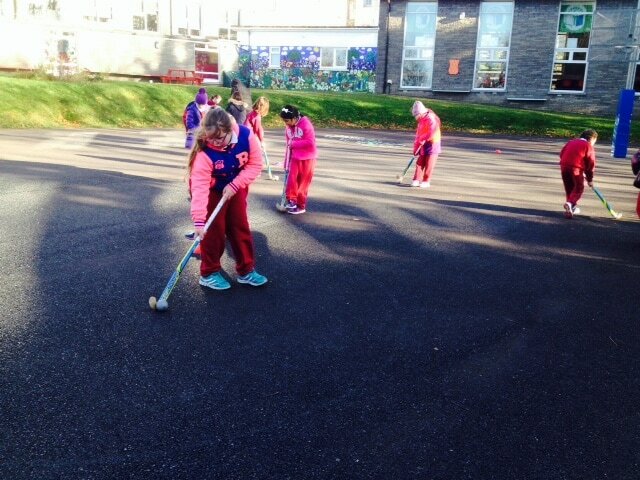 The girls showed great skill and determination in every game. 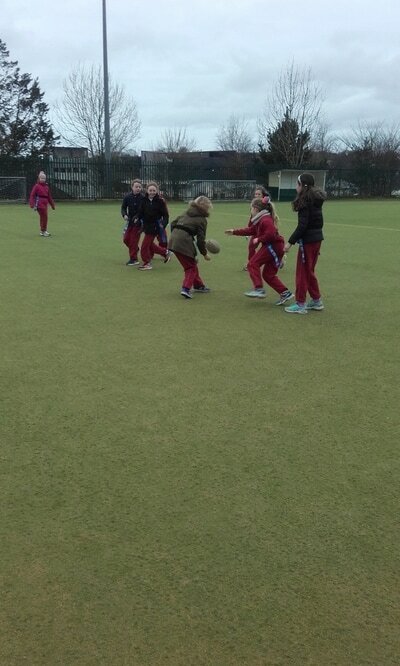 They even ended up playing each other in one game! 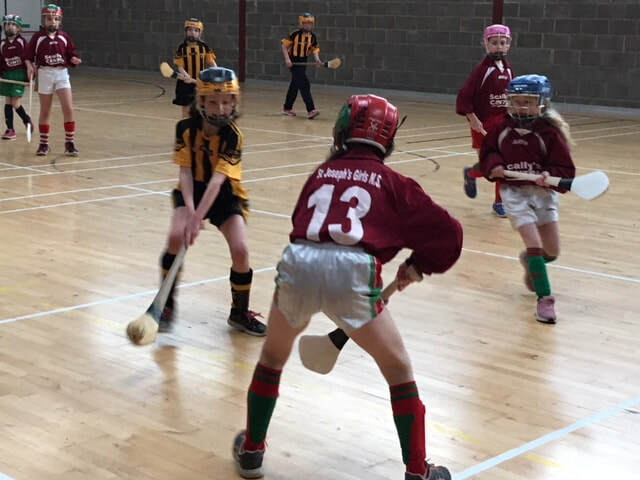 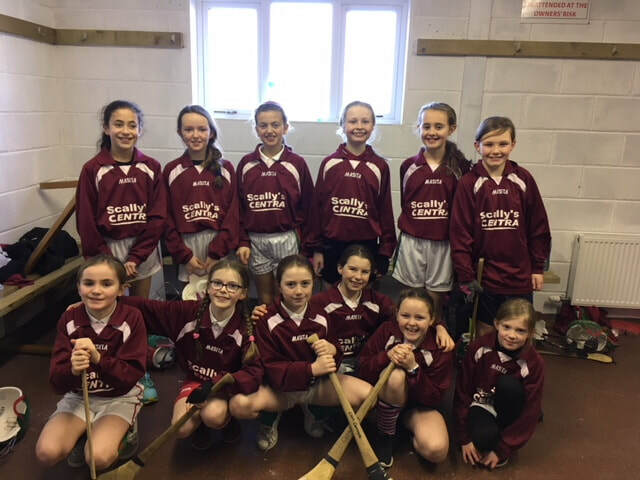 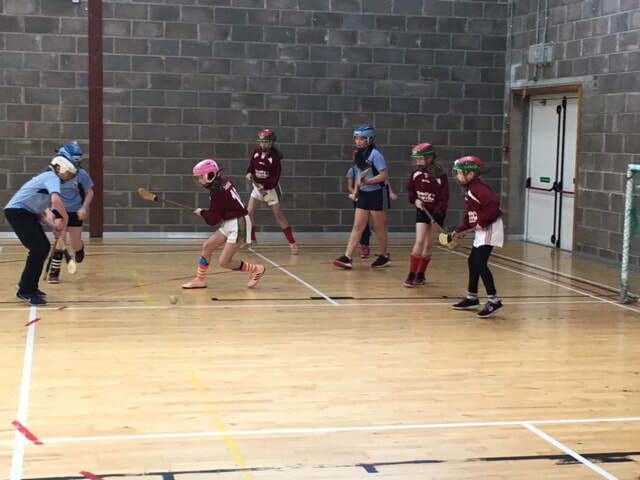 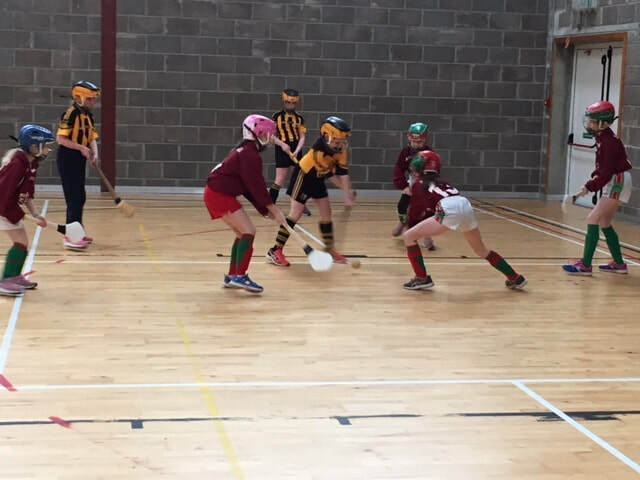 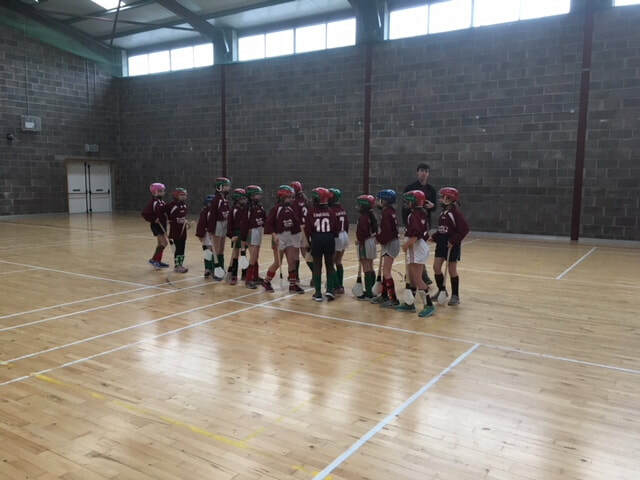 Twelve girls from fourth class took part in the Sciath na Scol Indoor Camogie competition on the 4th February 2019 in Ballinacarriga. The girls were beaten by Laragh NS in the first game but won well against Barryroe NS in the second game. 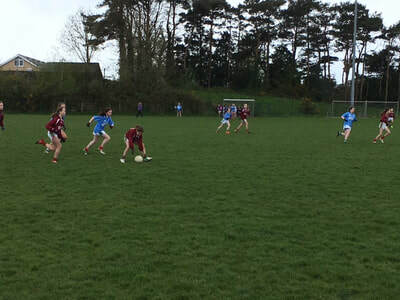 Unfortunately, the girls lost out to Newcestown NS in the semi final. The girls played brilliantly and made history as they were the first team from St Joseph’s to take part in this competition. 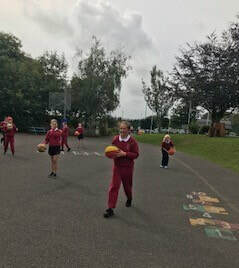 Basketball training for 5th & 6th class girls has started! 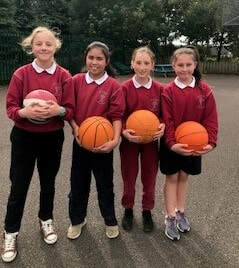 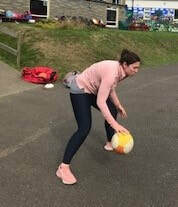 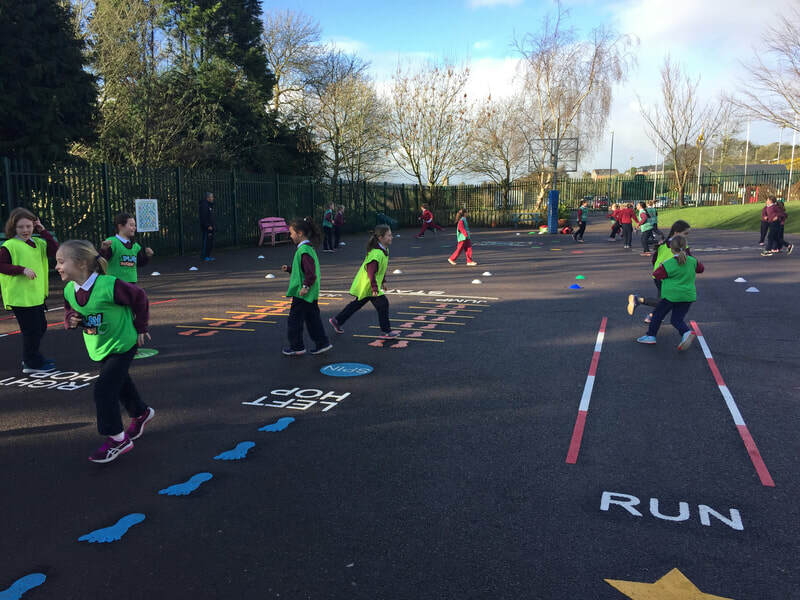 Every Wednesday afternoon (3pm - 4pm) Mrs. O' Brien (5th class) trains our girls in basketball skills. We are very lucky to have the use of the Secondary School gym from 3.20pm. A big thank you to Mrs O' Brien for starting this in St Joseph's. 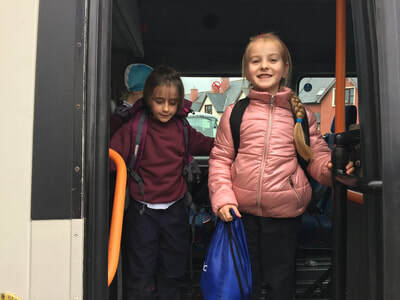 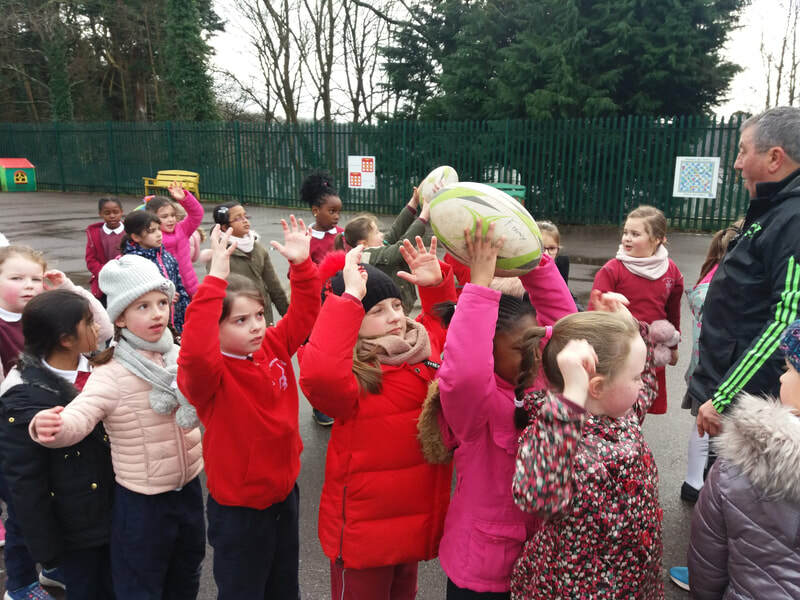 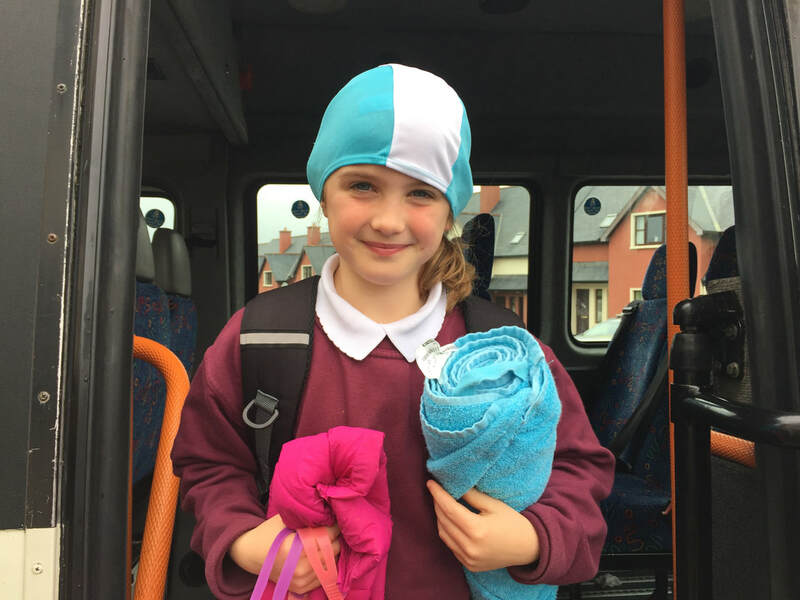 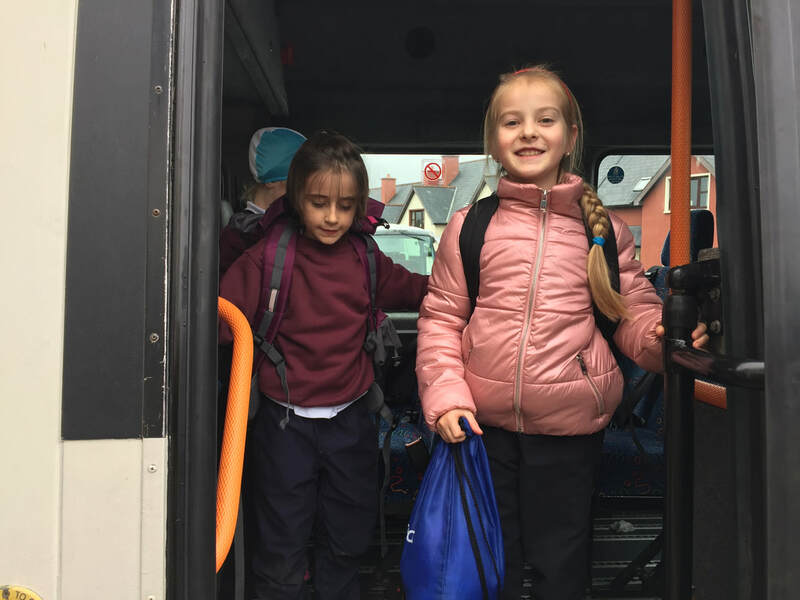 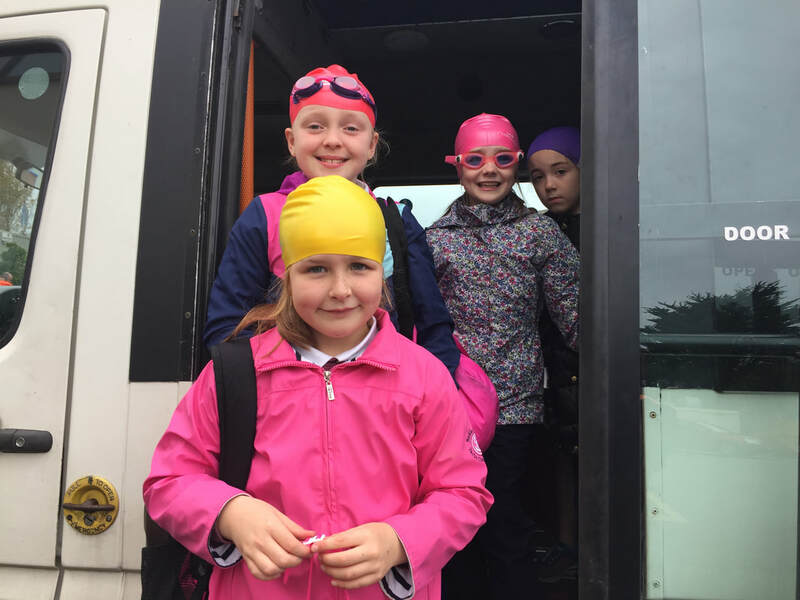 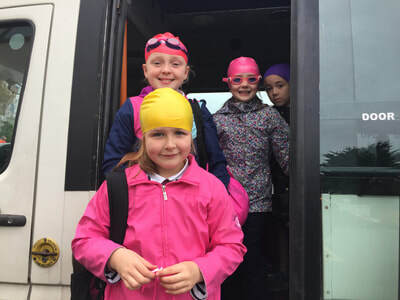 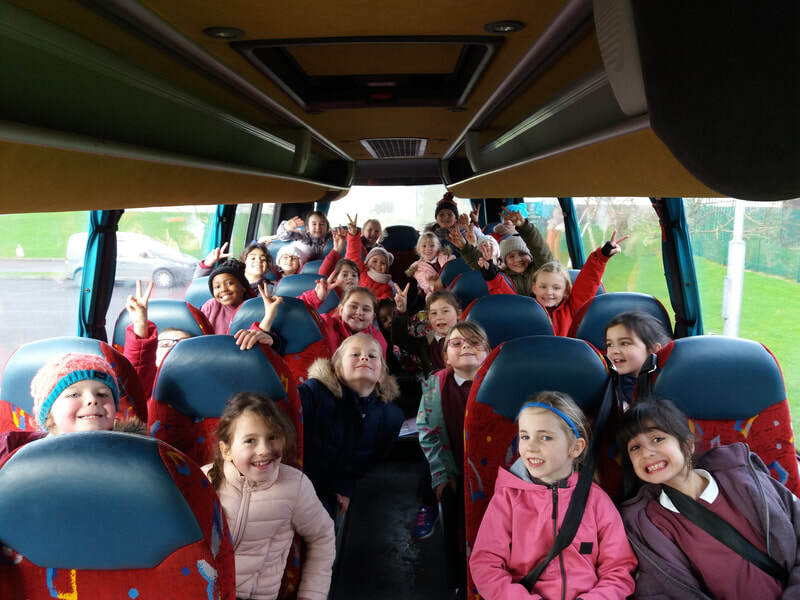 The girls from first to sixth class take part in swimming lessons in Clonakilty Park Hotel for a total of eight weeks every year. 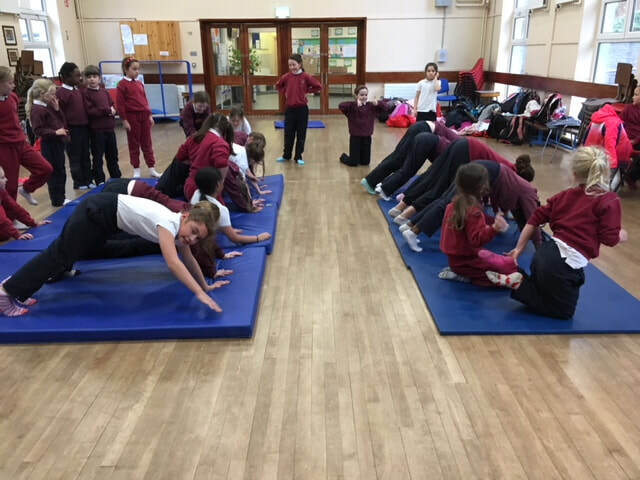 The staff of St Joseph's have decided to prioritise the Gymnastics strand for the coming school year (2018/2019). 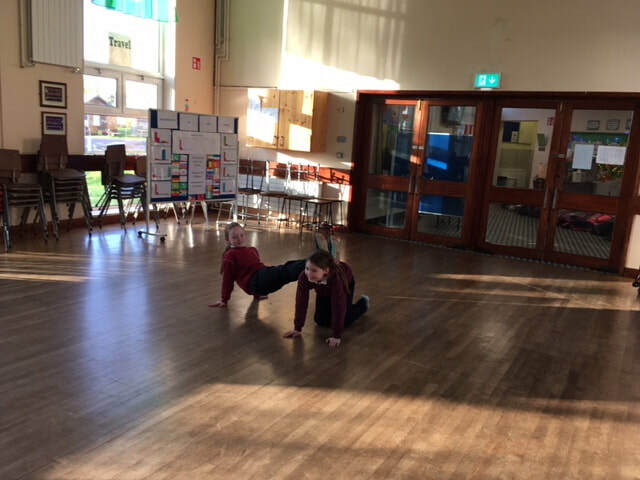 We have explored various animal walks and are beginning to work on different types of balances. 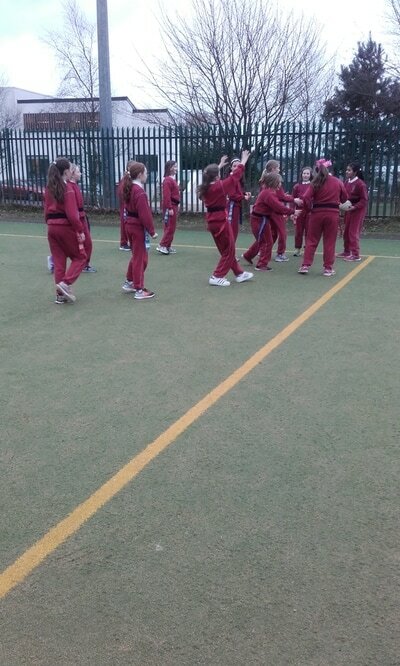 Athletics is a much loved activity in St Joseph's. 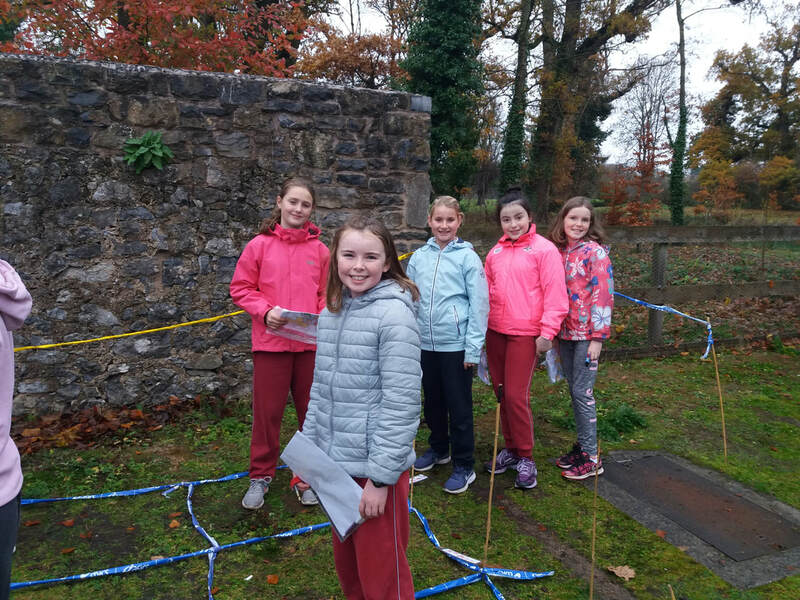 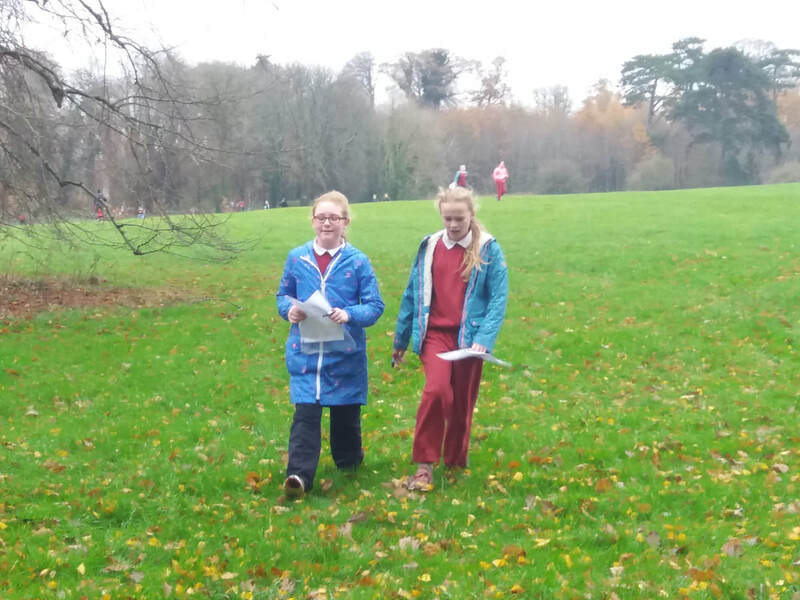 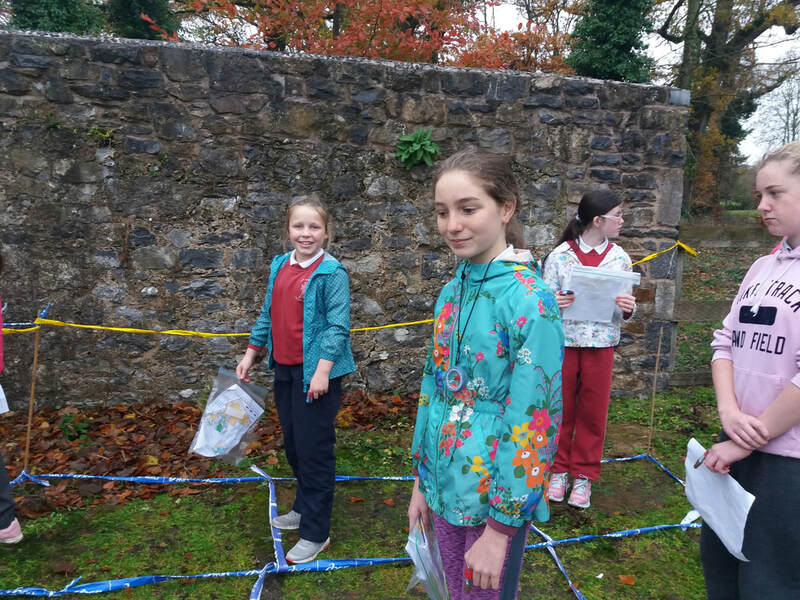 On Tuesday the 12th of February our Orienteering team set out on another tough course around Fota Woods and Gardens. It was a more difficult and challenging course but the girls stepped up and once again, they performed at a very high level. Both of our teams managed to achieve 1st place, along with a number of excellent individual results. 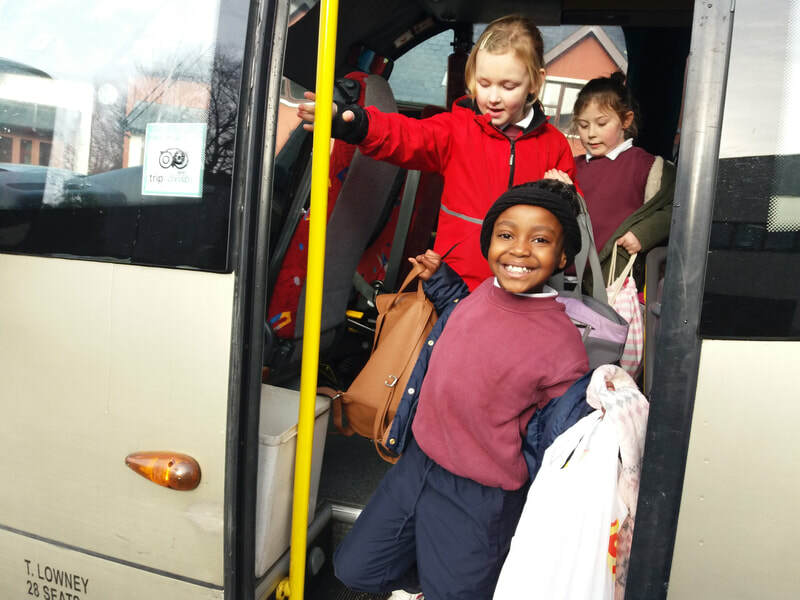 Well done again everyone! 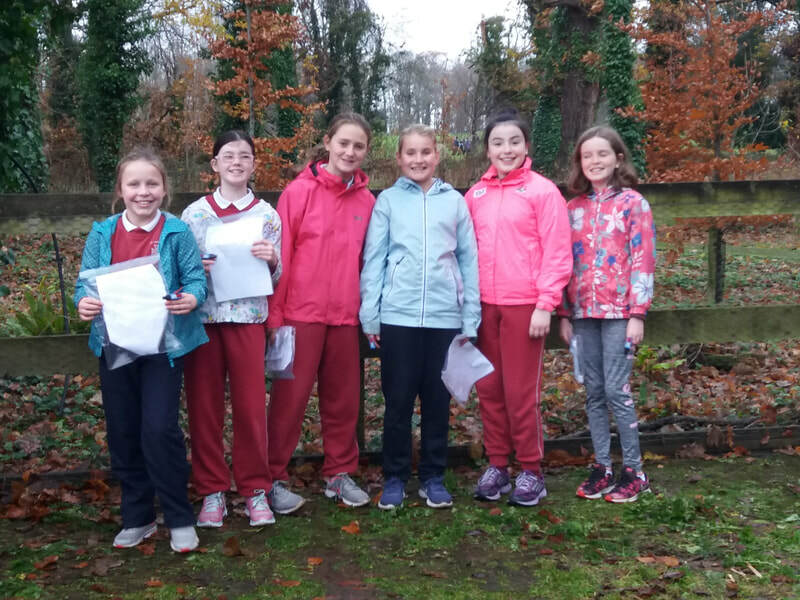 The overall results of first part of this year's orienteering league are in, and we are delighted to say the team did an exceptional job. 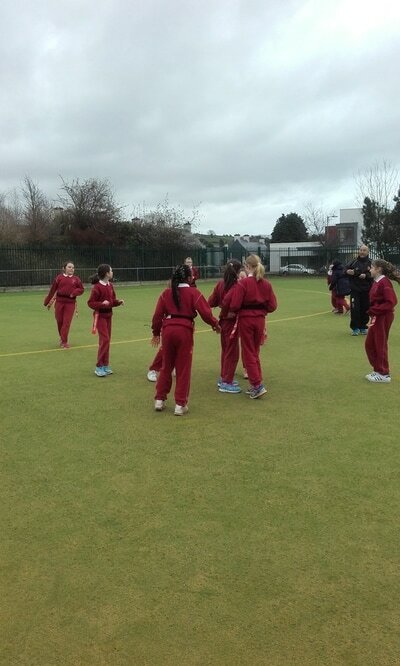 In our first year competing against schools all over Cork, the girls managed to secure 5 medals. 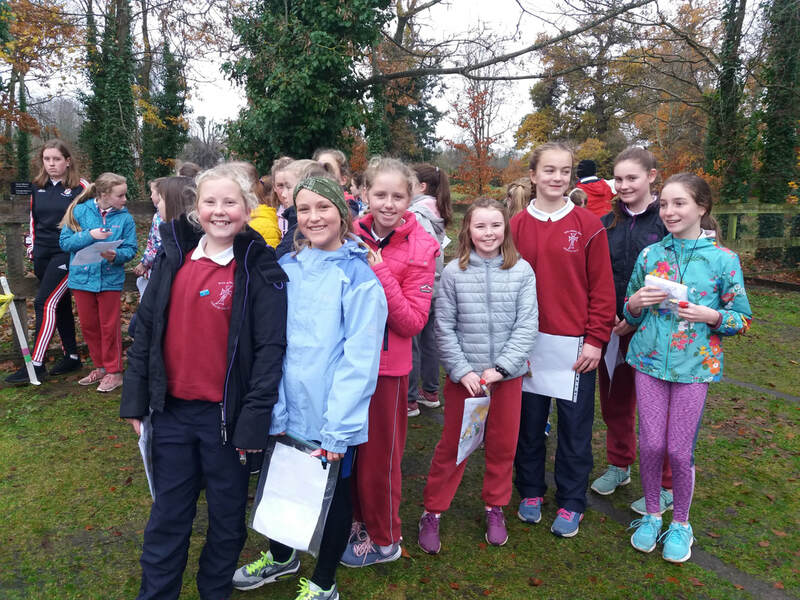 Rachel Twomey earned 2nd place and Clodagh O'Sullivan earned3rd place in the 5th class girls category. 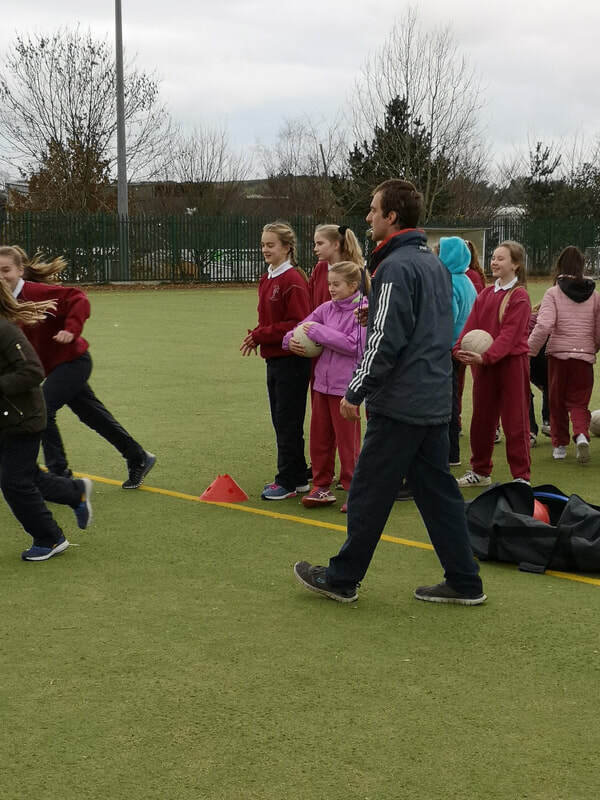 Whilst the 5th class team came 2nd. 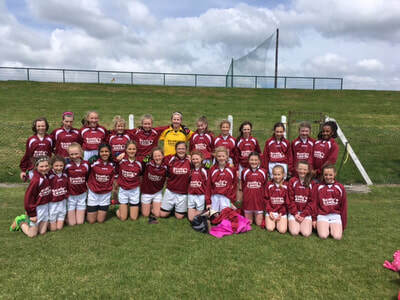 Máire Murphy earned an outstanding 1st place in the 6th class girls category. 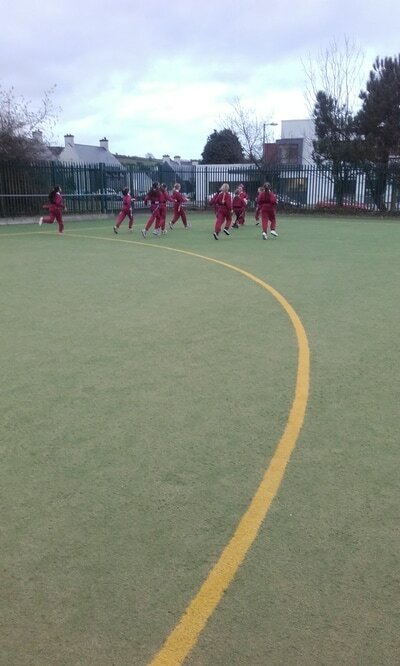 Whilst the 6th class team also came in 1st place. 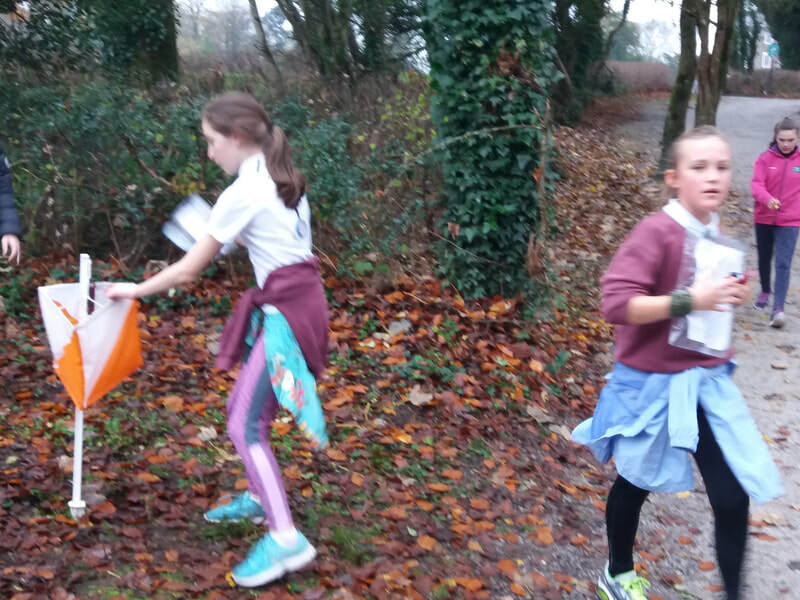 We are incredibly proud of the entire orienteering team who haveperformed at such a high level in the league so far. 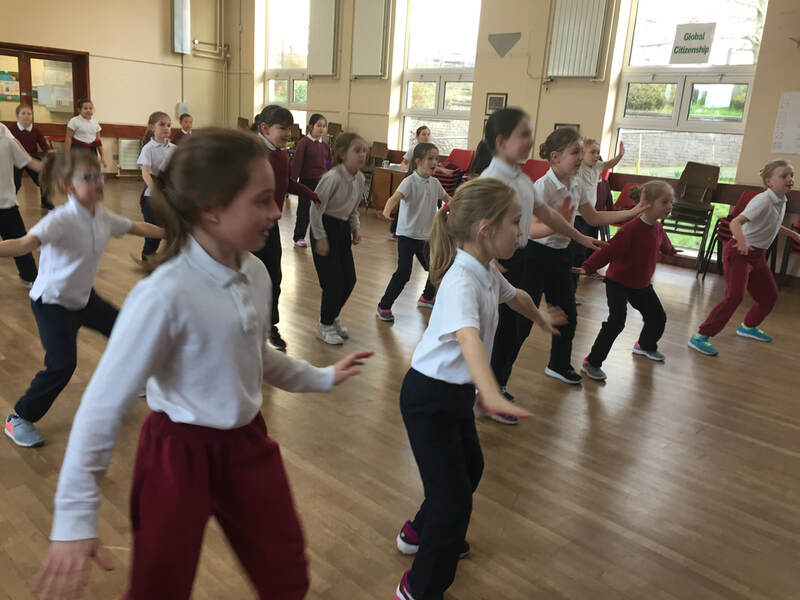 We lookforward to more fantastic results after Christmas! 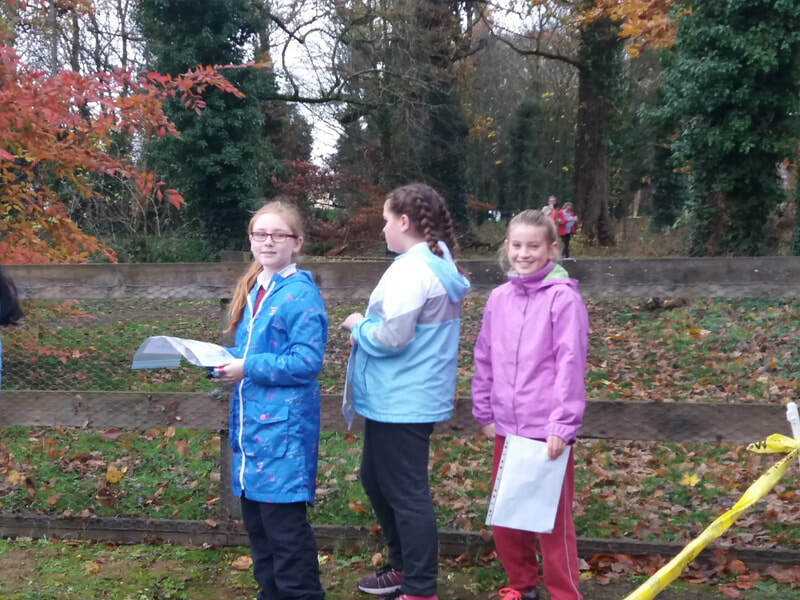 Thank you Ms Gaynor for all your hard work organising and training the orienteering teams. 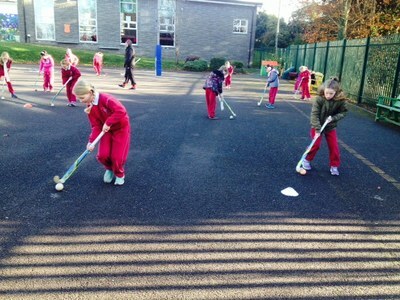 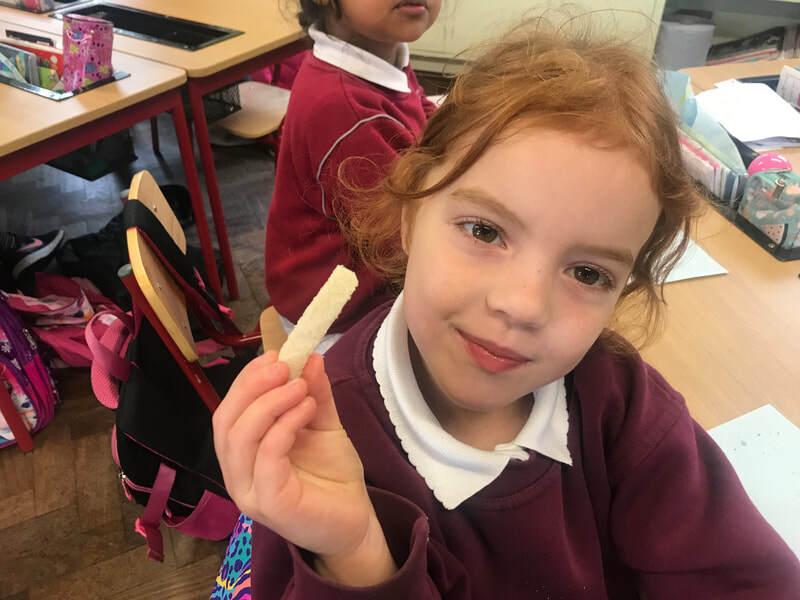 On Friday the 16th of November, St. Joseph's G.N.S. 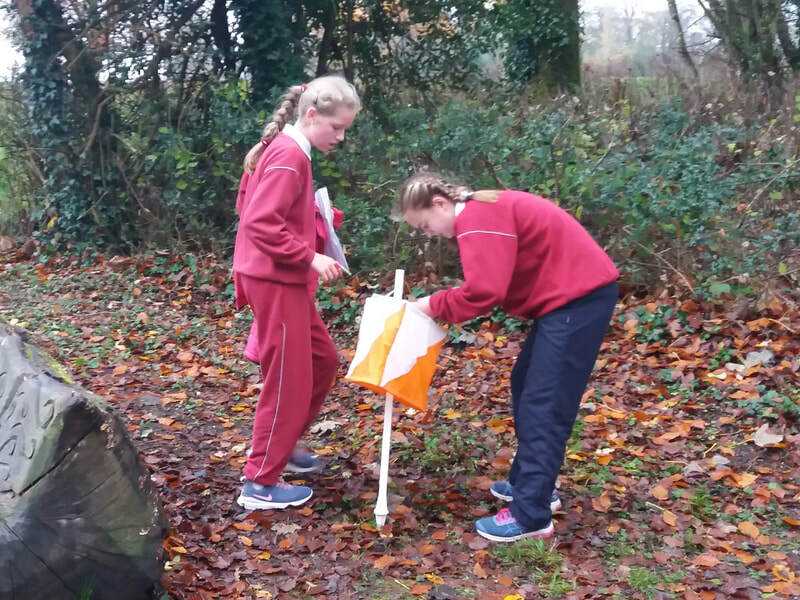 Orienteering team set off on their 2nd league event in Doneraile Wildlife Park. 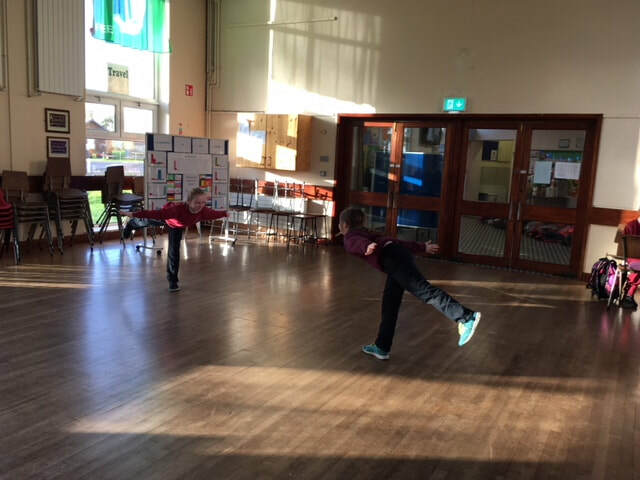 Due to their impressive performance at the last event, expectations were high. The girls, once again, did an amazing job and achieved outstanding results in a very competitive course. 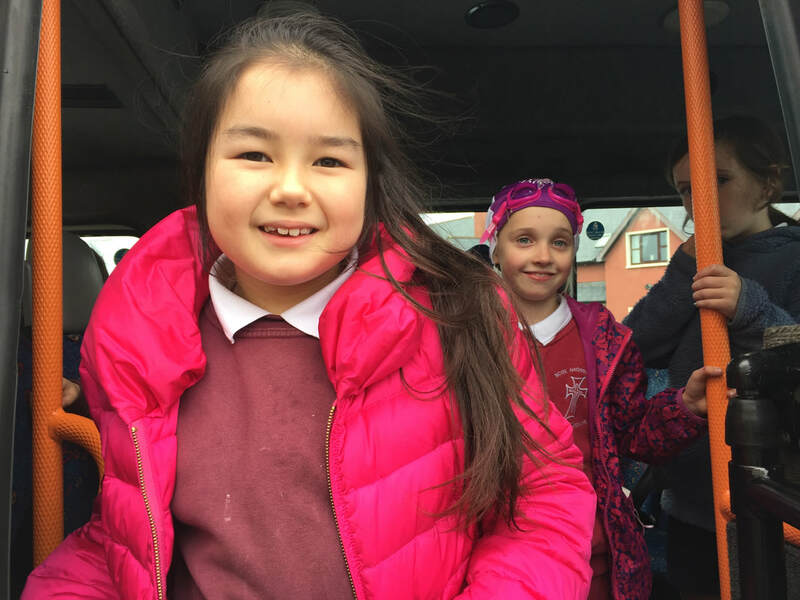 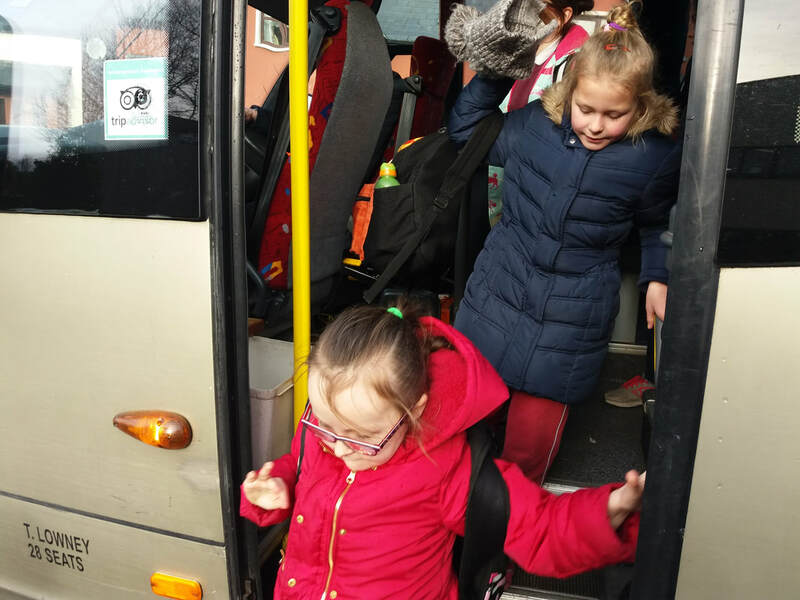 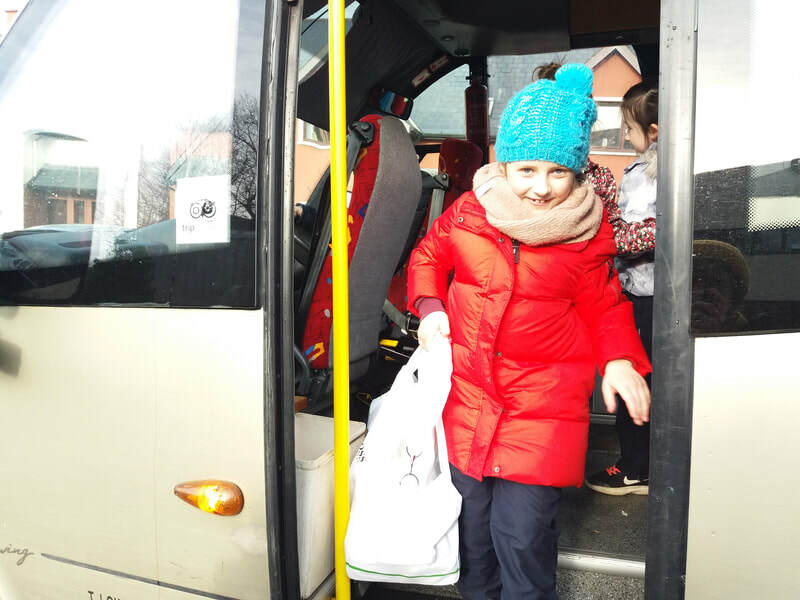 A huge thank you to the parents who provided transport to and from the event. 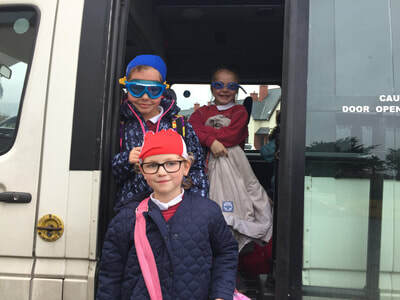 It was a fantastic day out and all are looking forward to the next challenge. 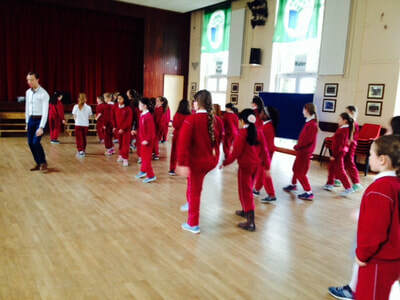 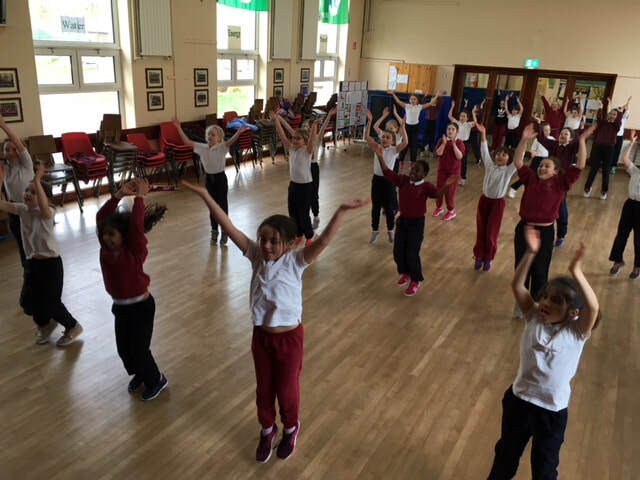 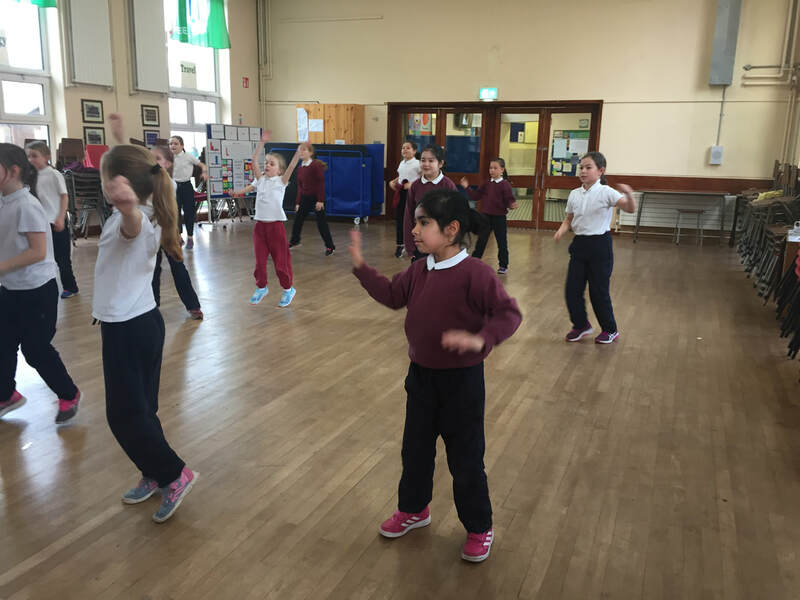 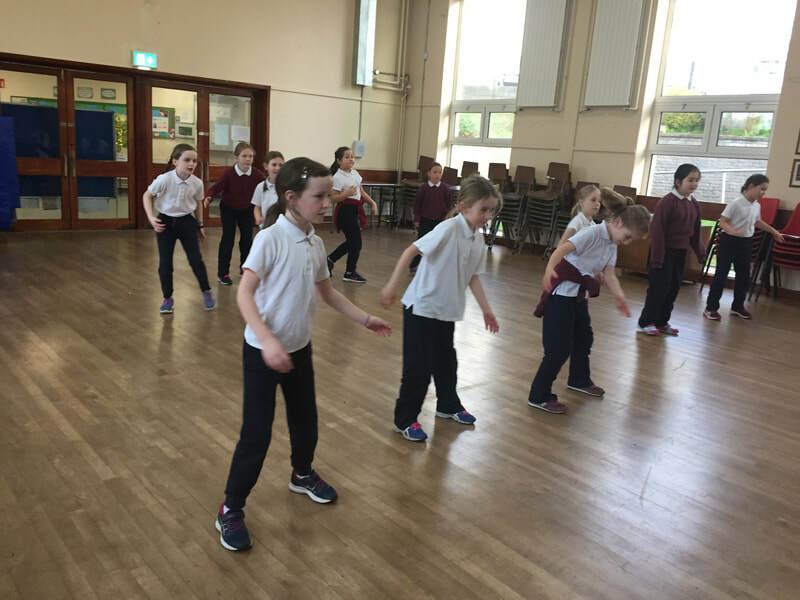 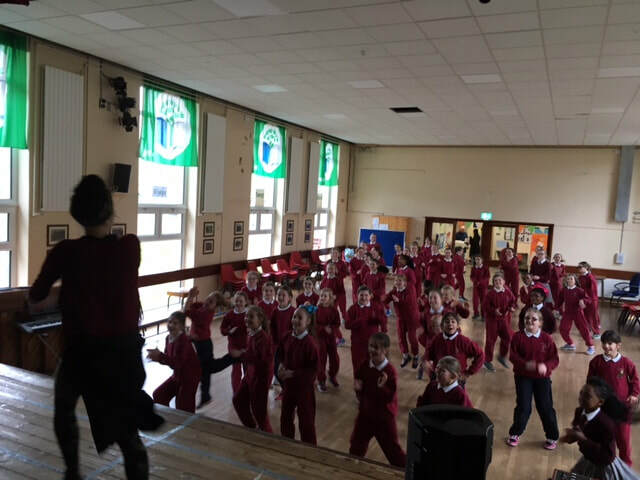 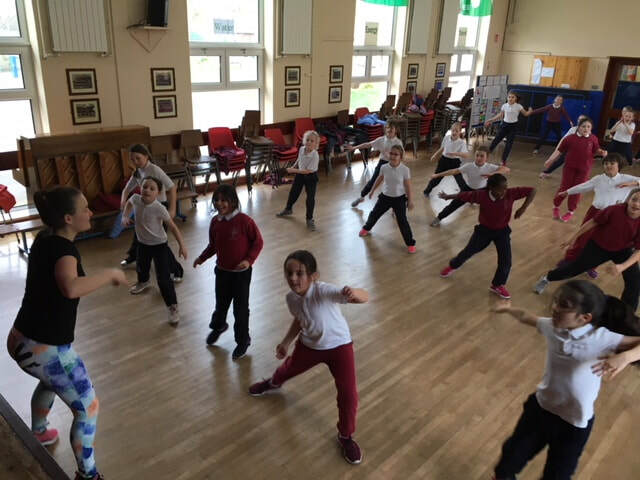 The girls in St Joseph's enjoy Zumba and Dancefit classes at various times during the school year. 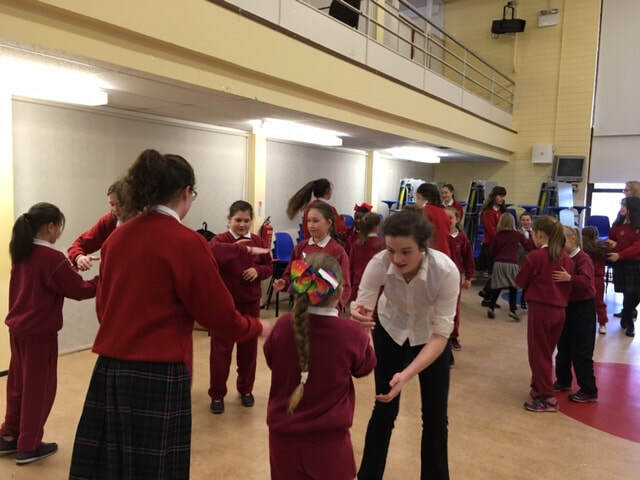 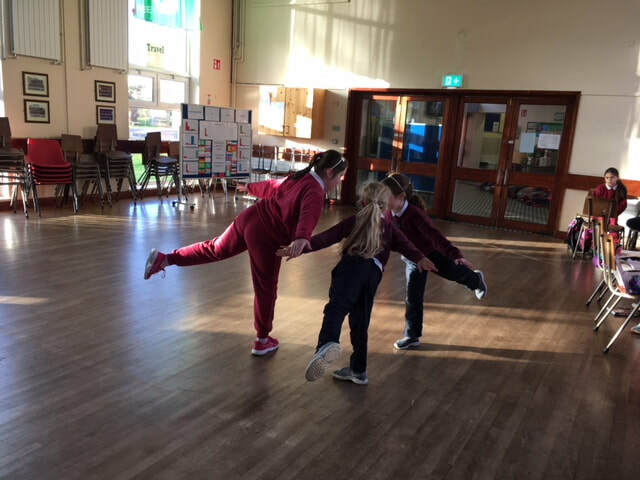 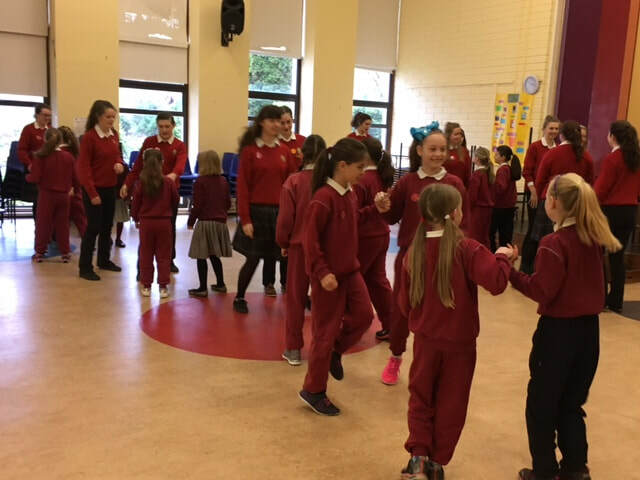 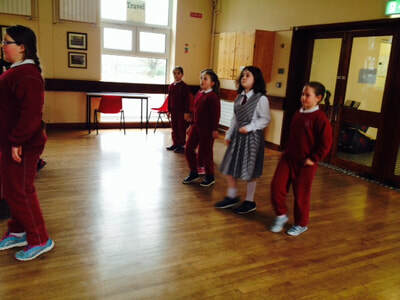 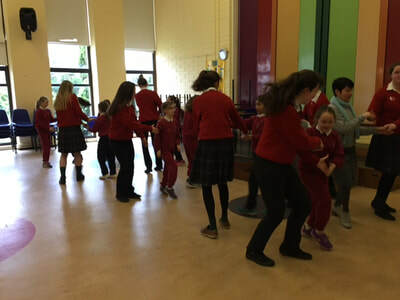 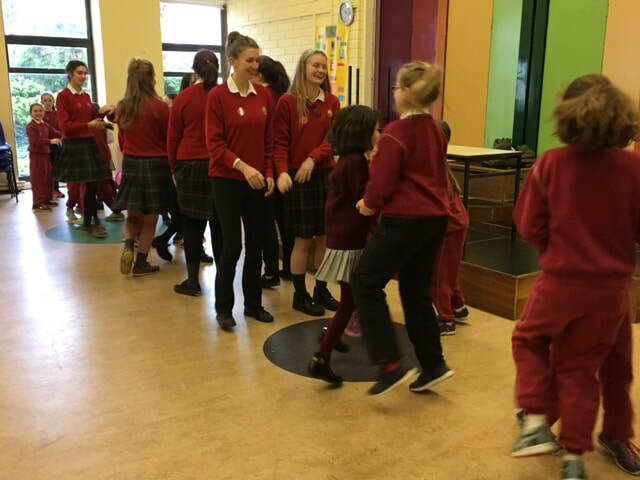 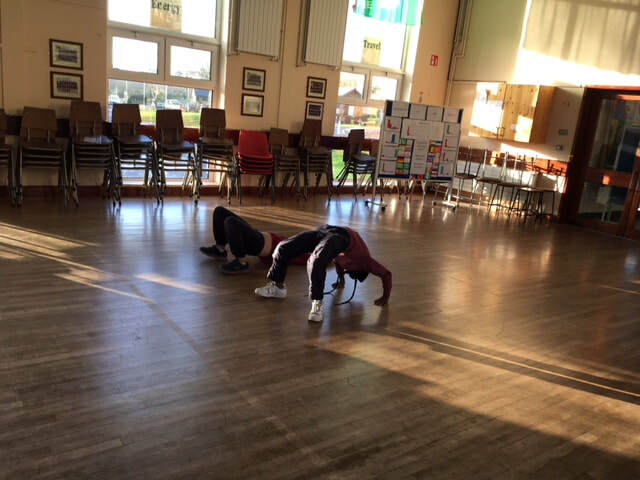 ​ Dance also forms part of our Seachtain na Gaeilge events.